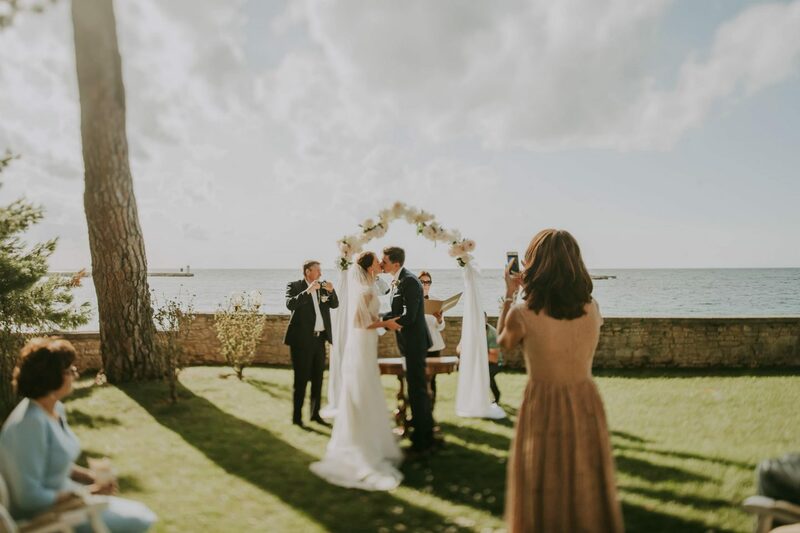 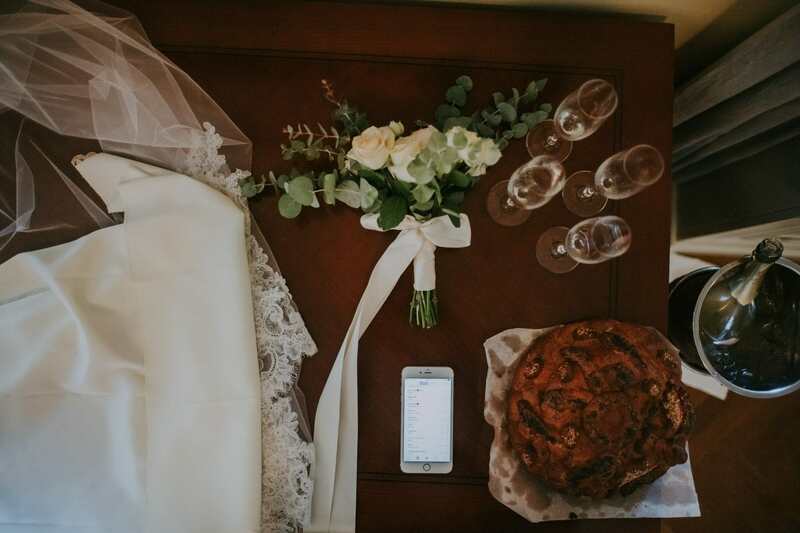 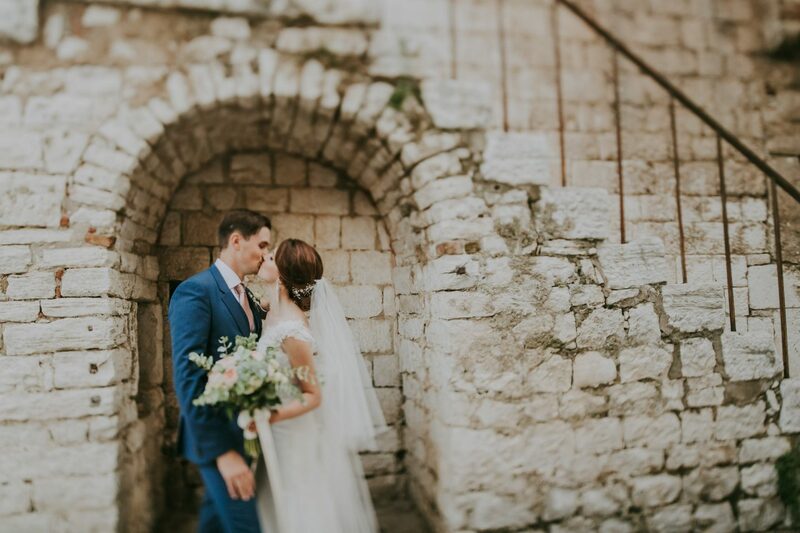 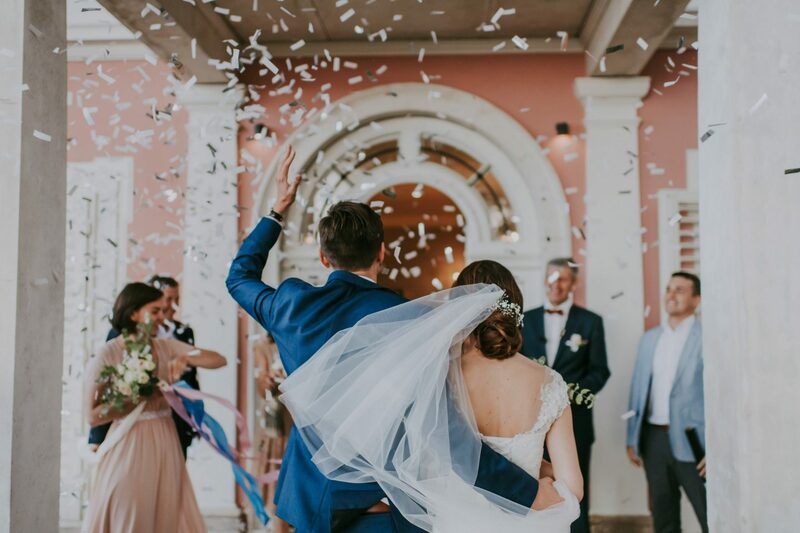 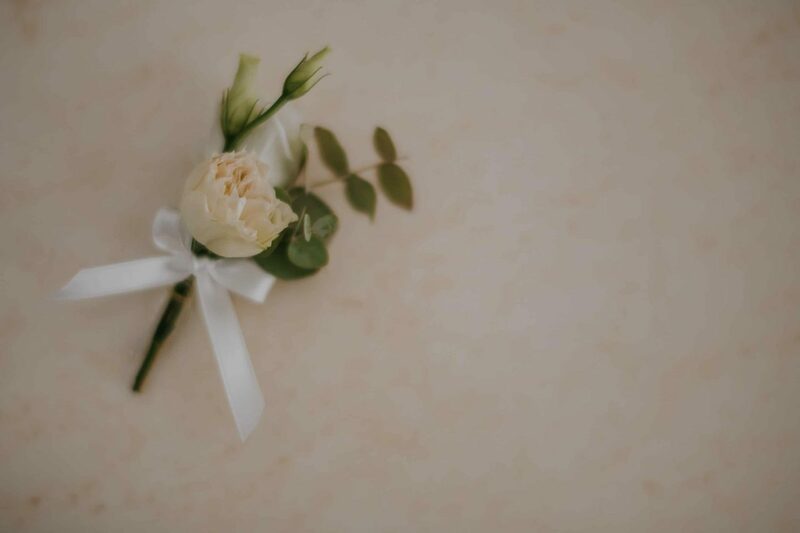 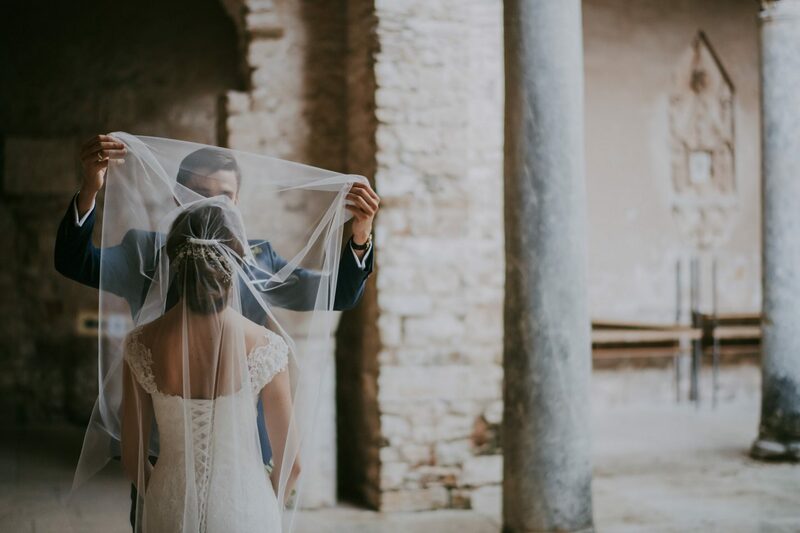 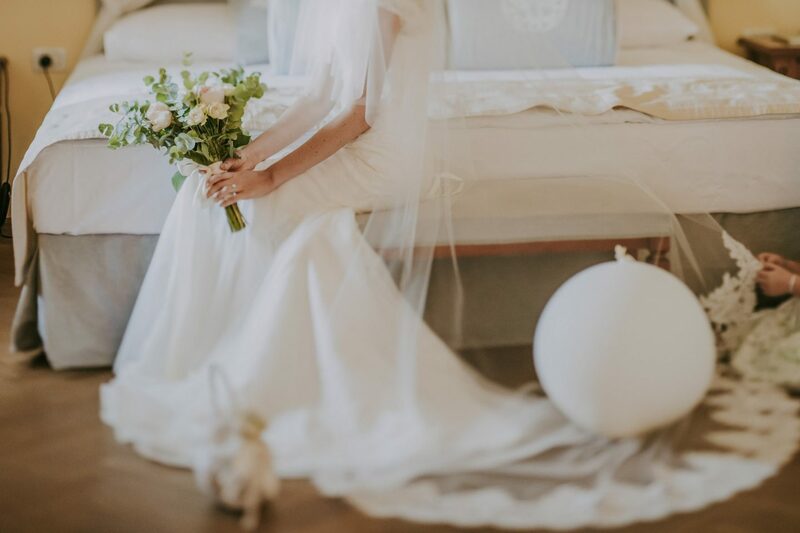 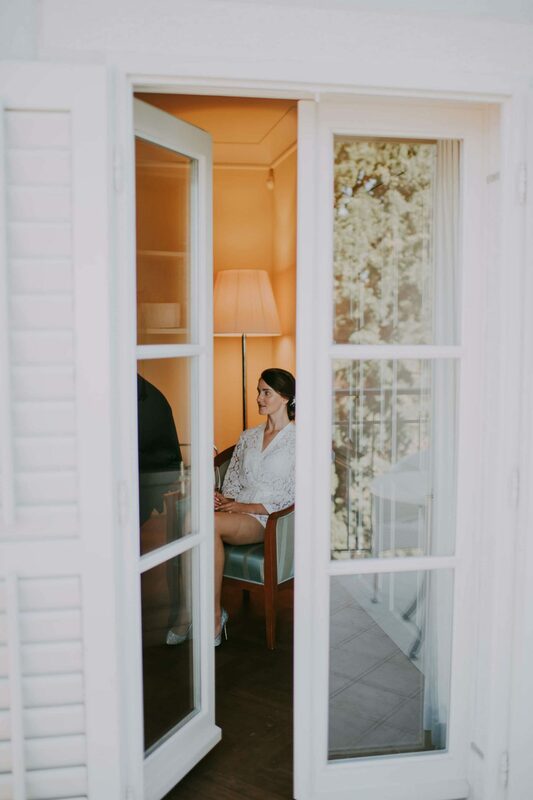 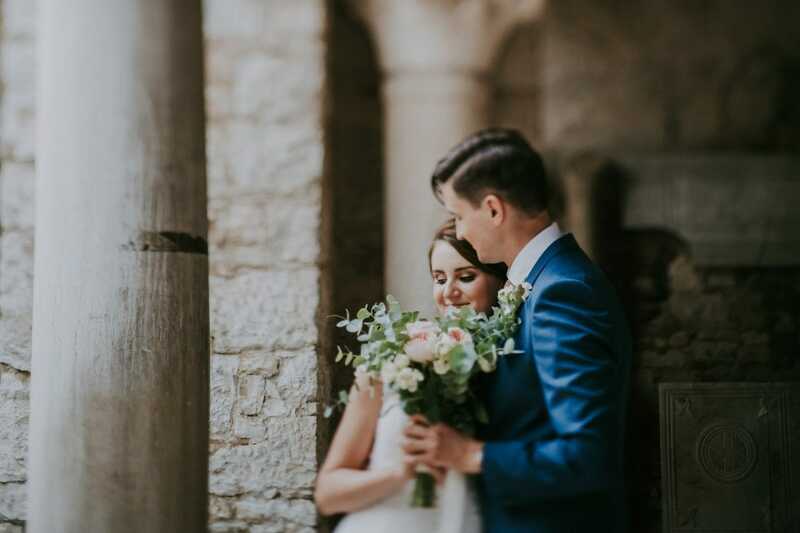 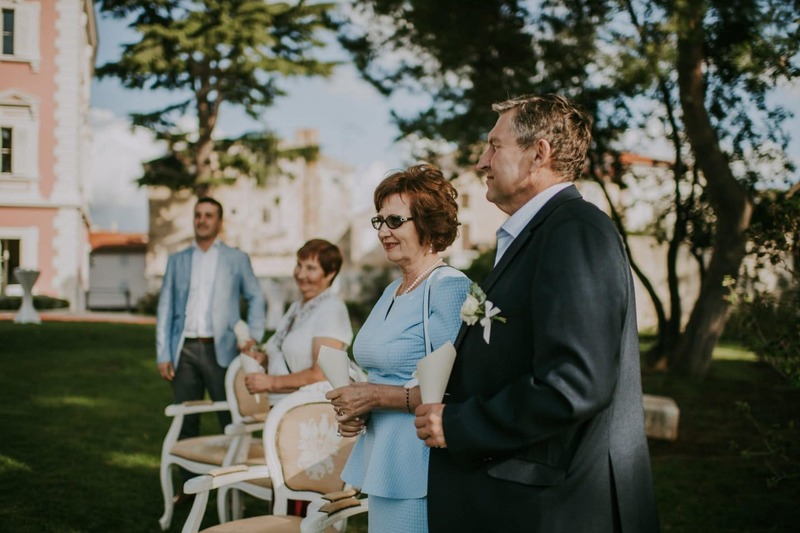 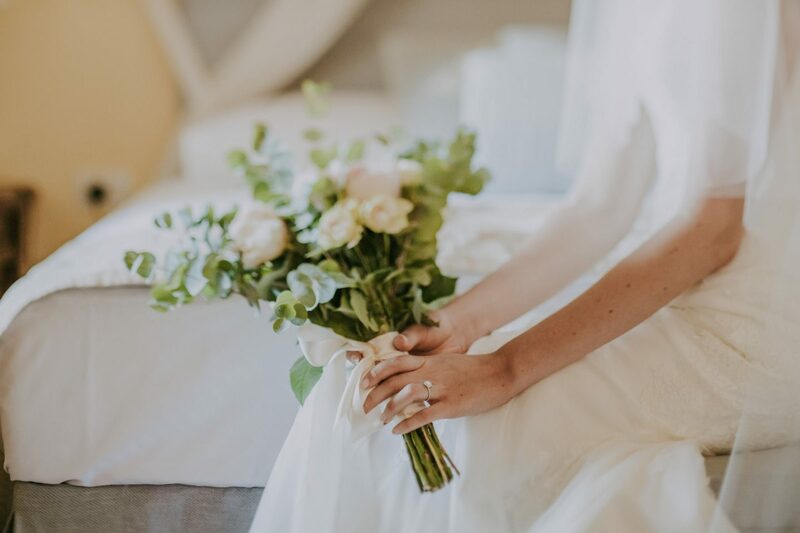 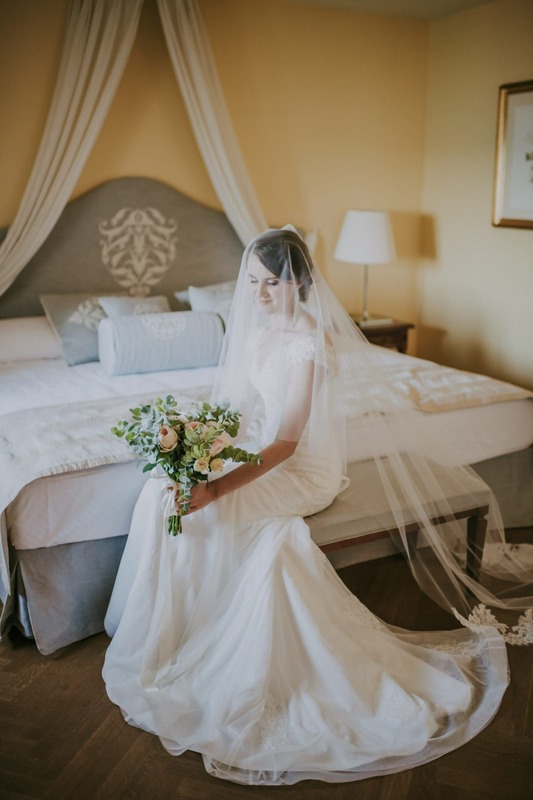 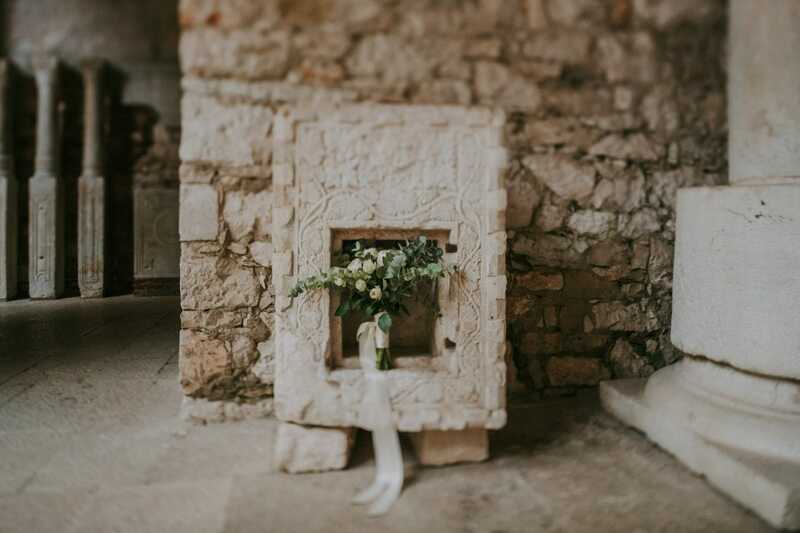 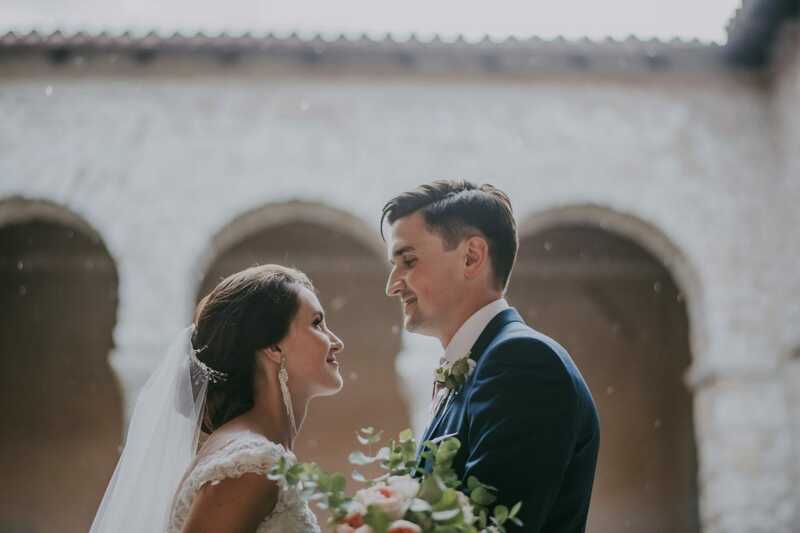 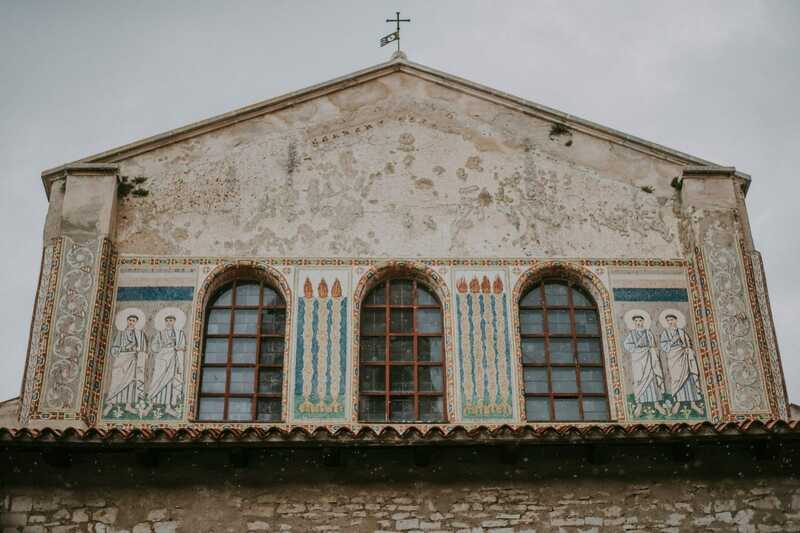 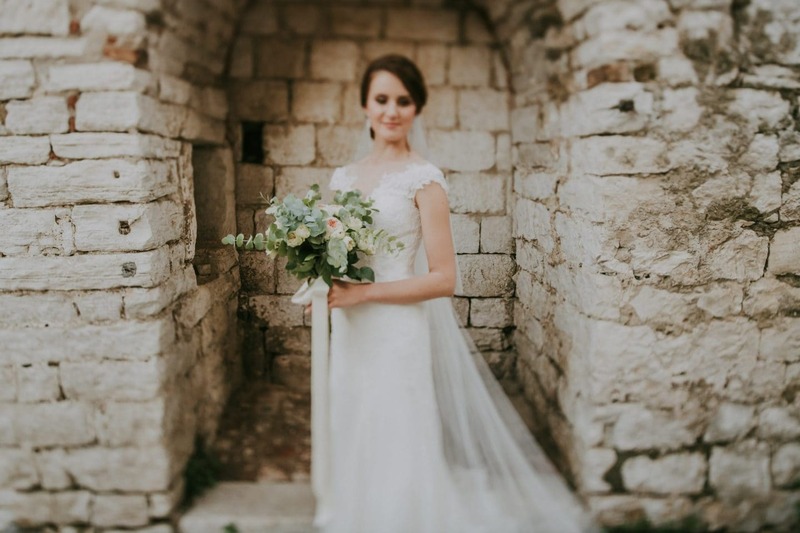 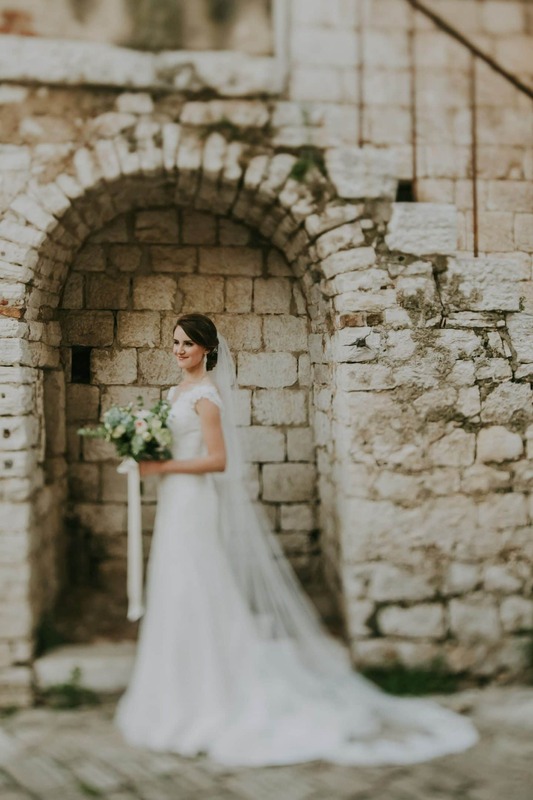 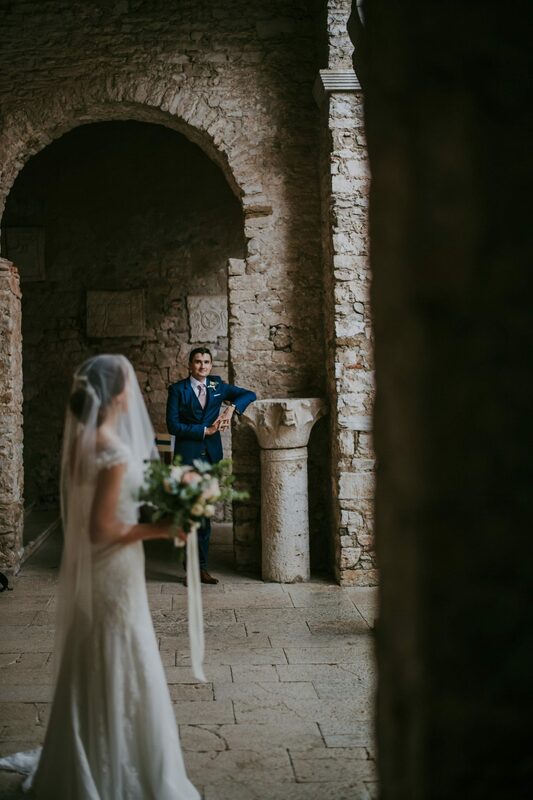 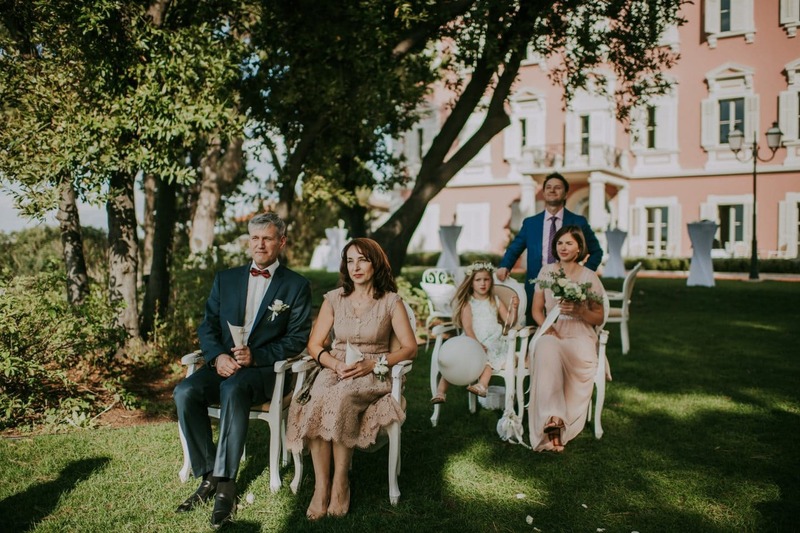 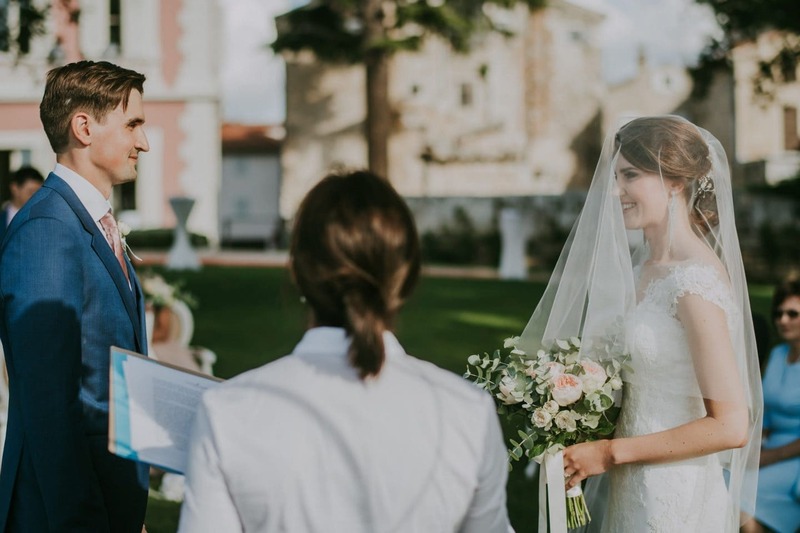 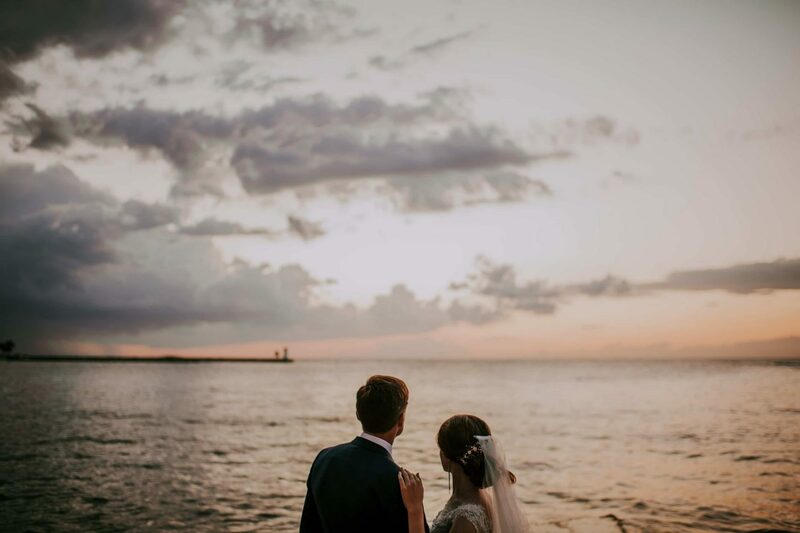 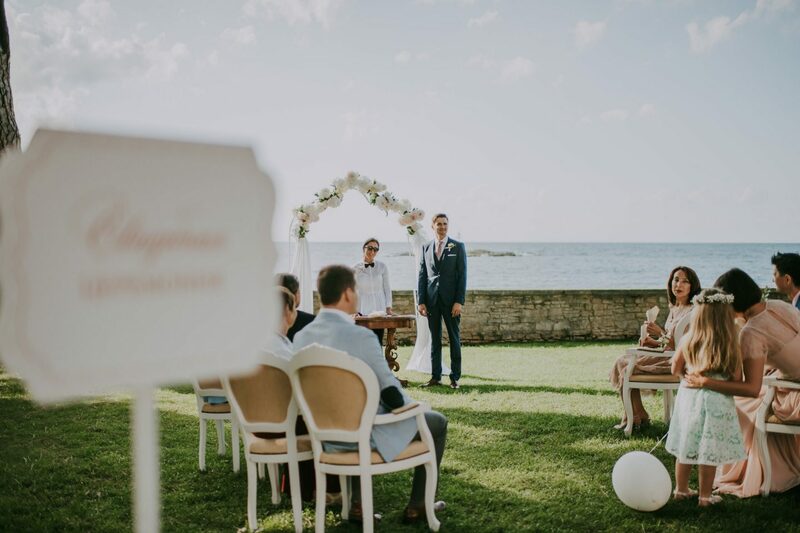 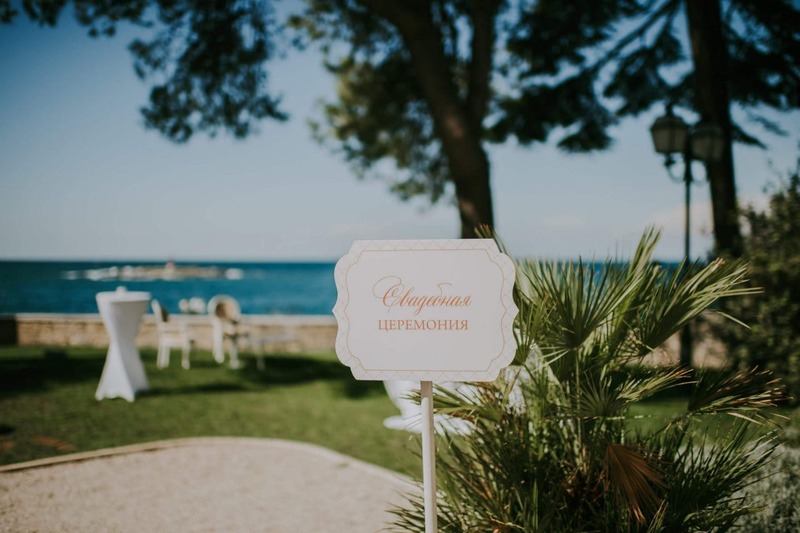 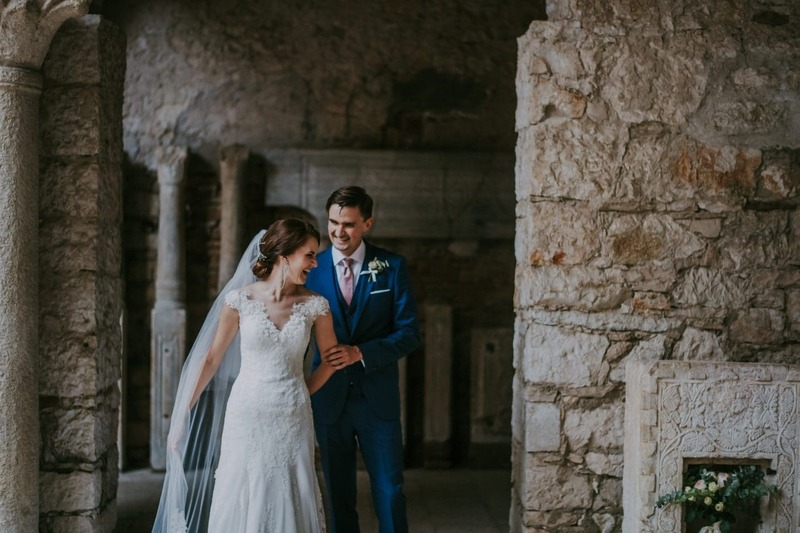 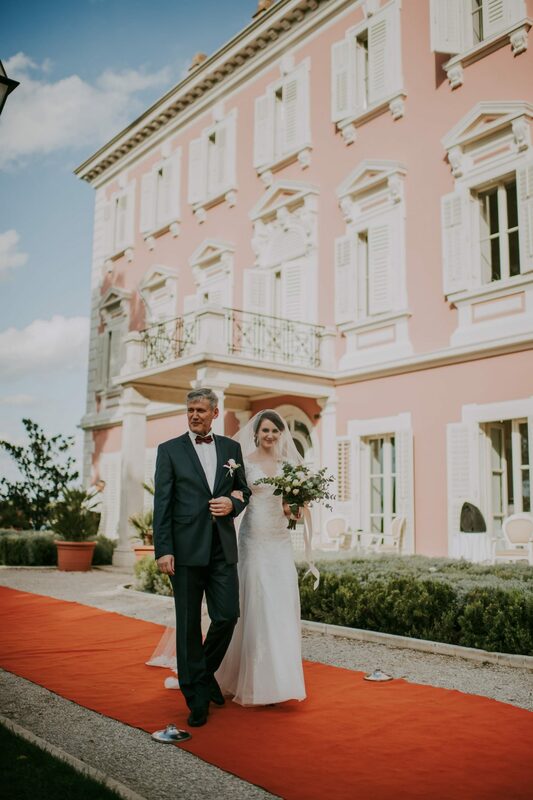 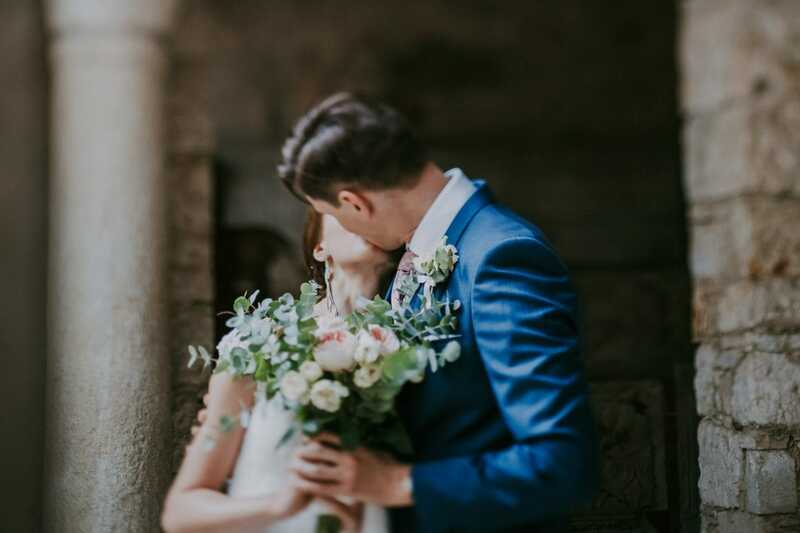 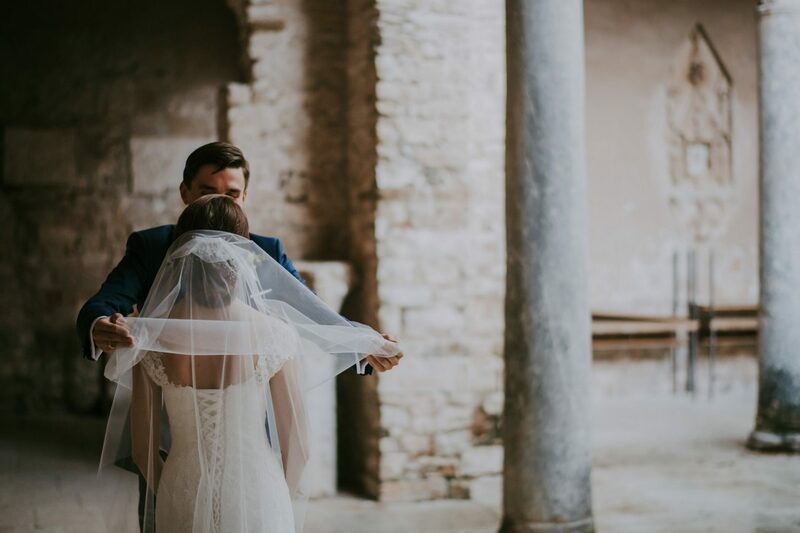 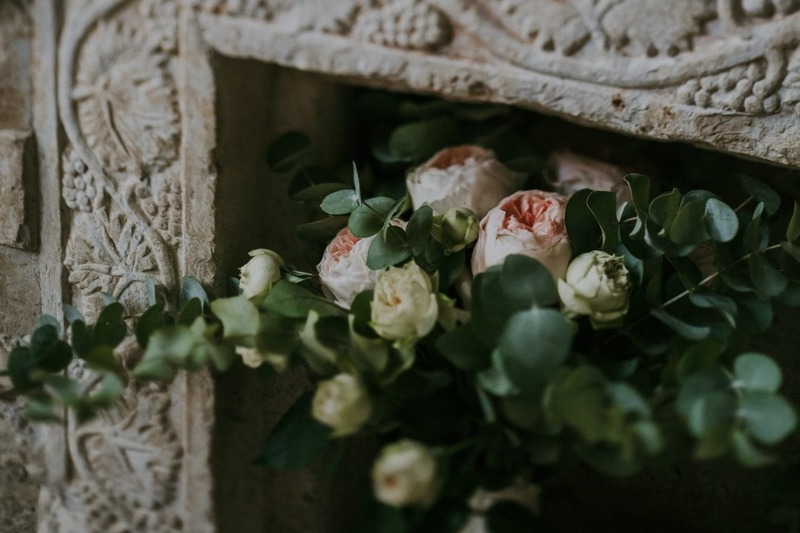 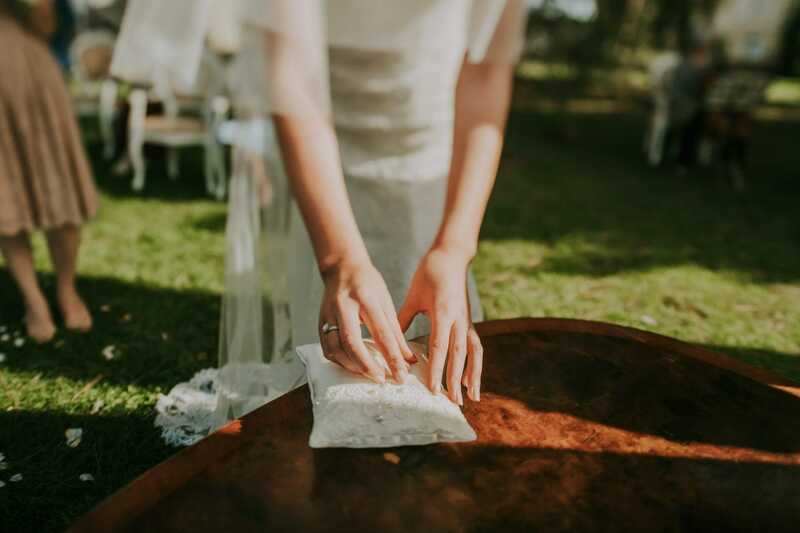 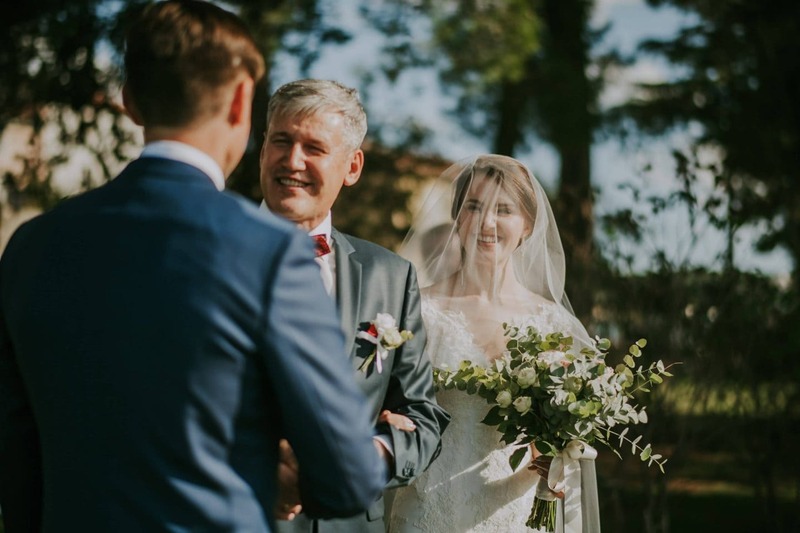 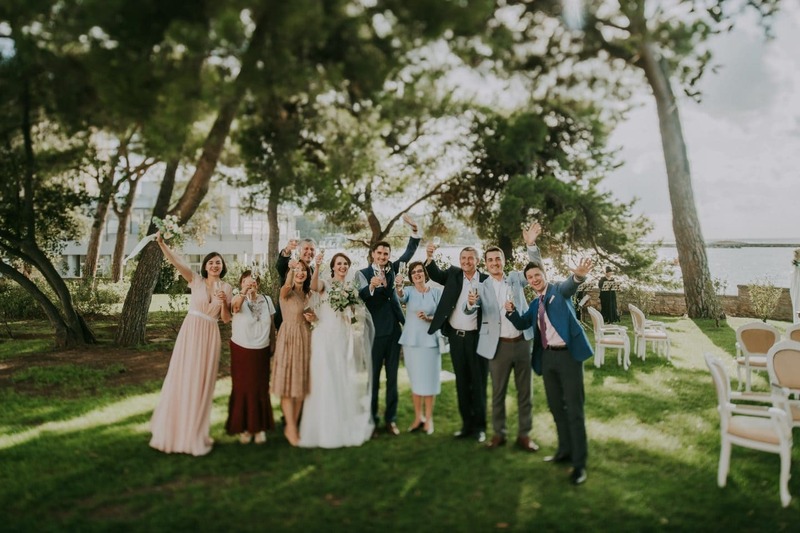 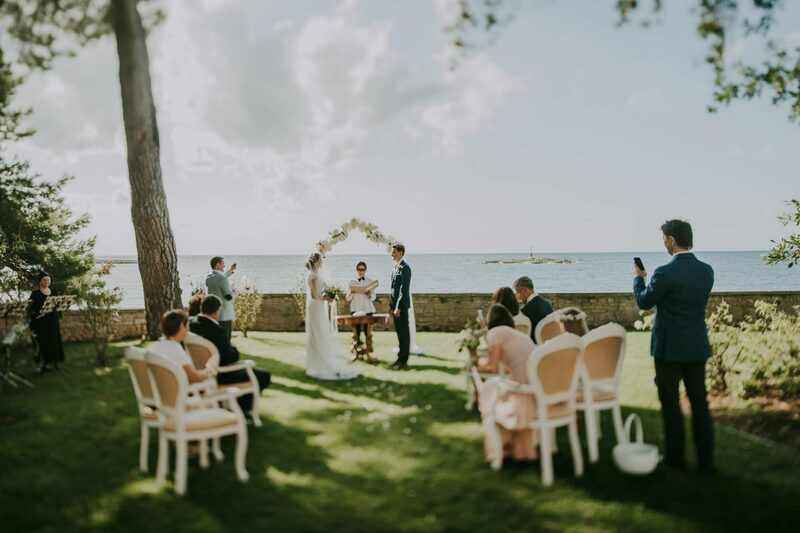 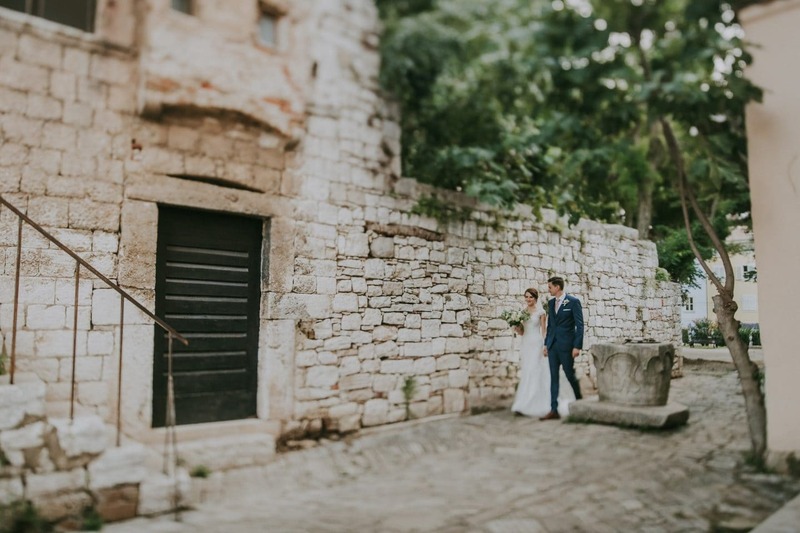 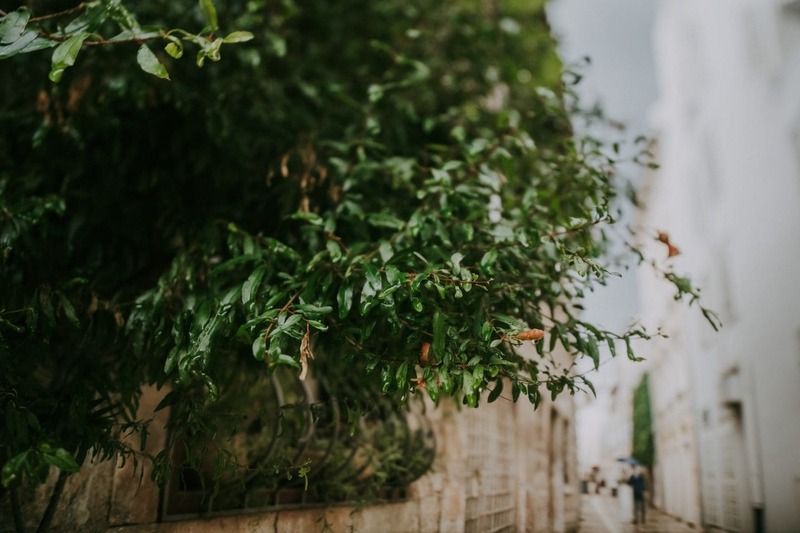 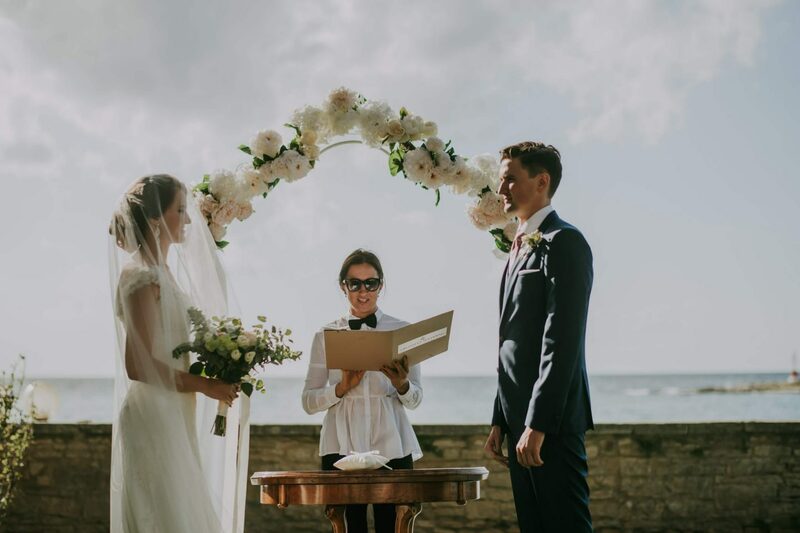 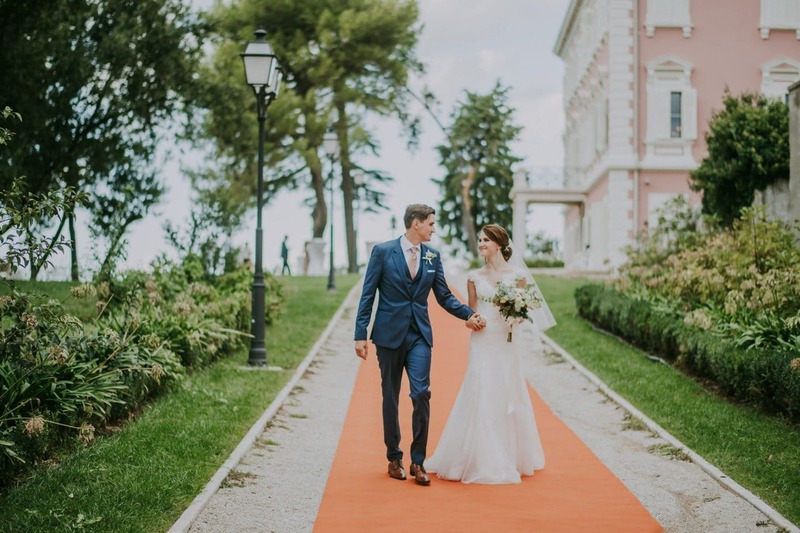 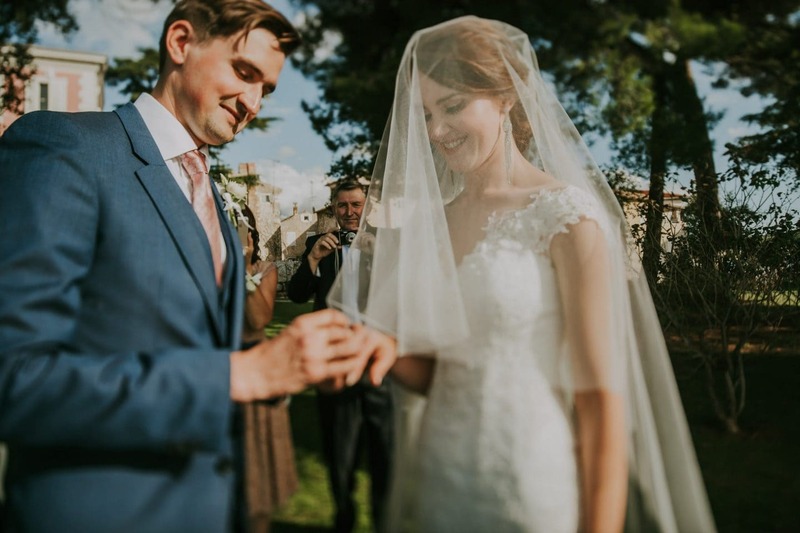 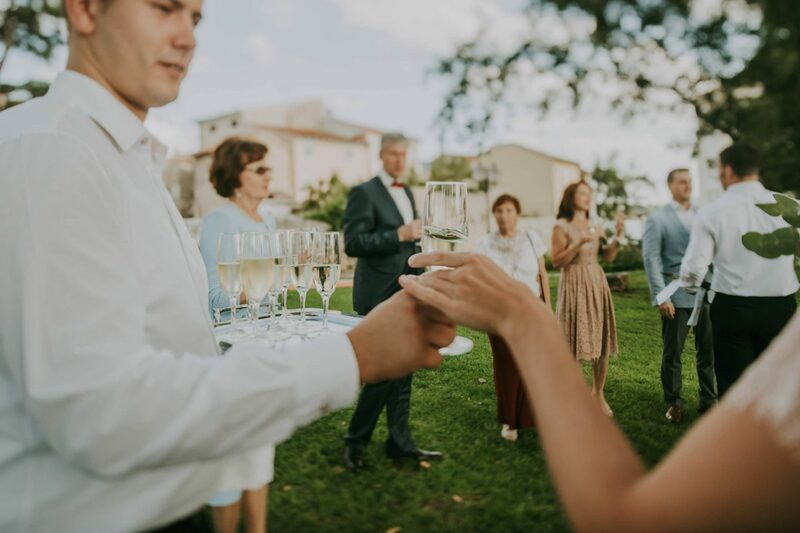 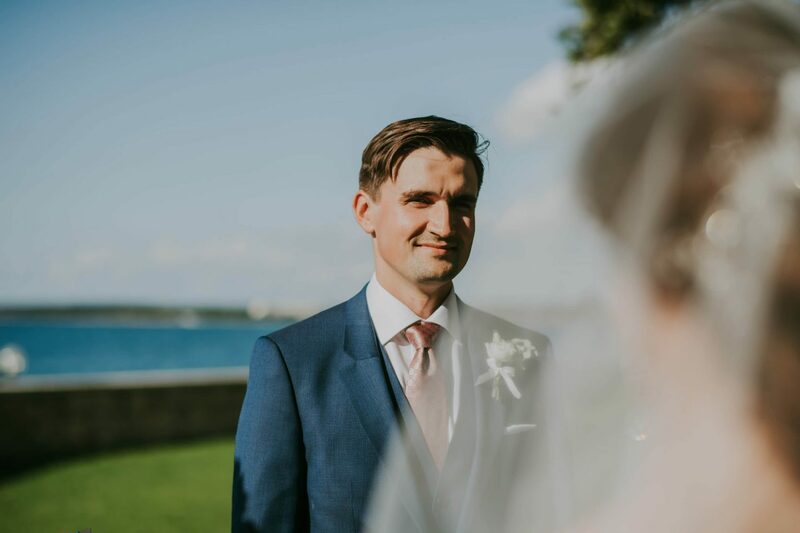 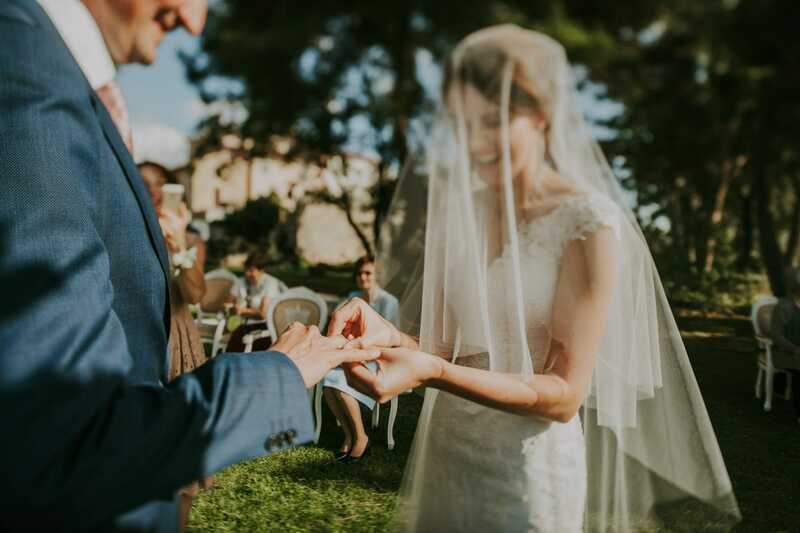 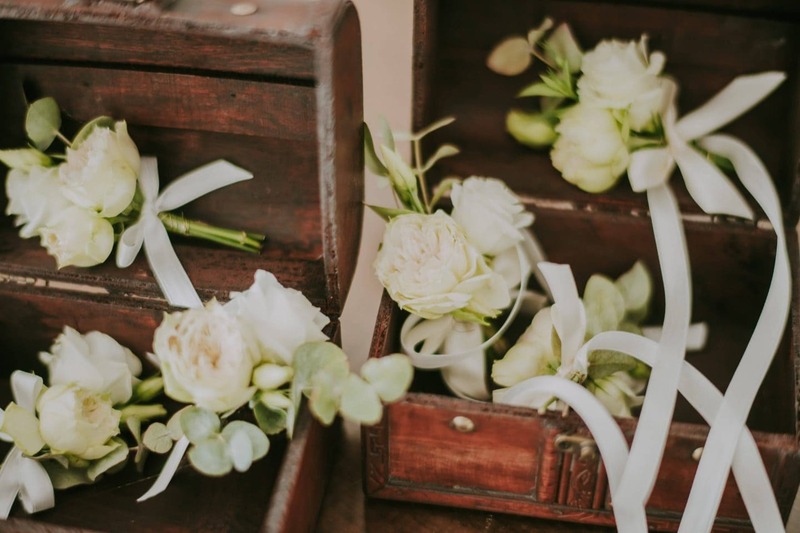 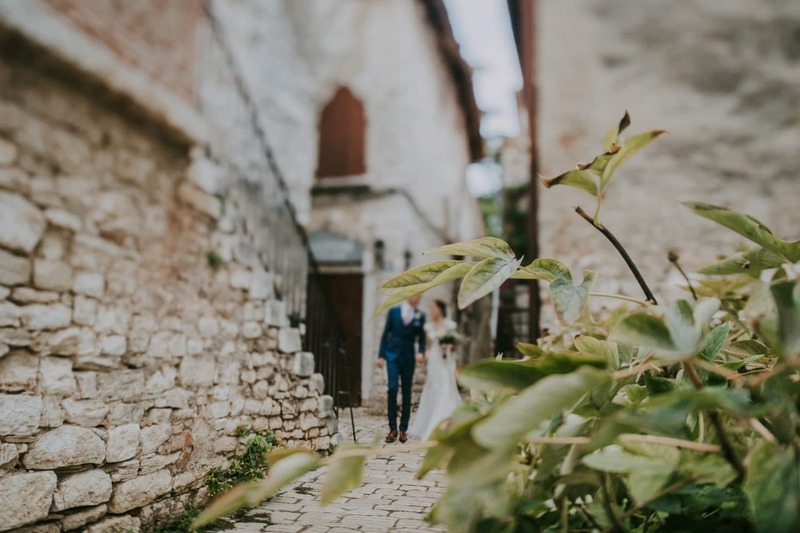 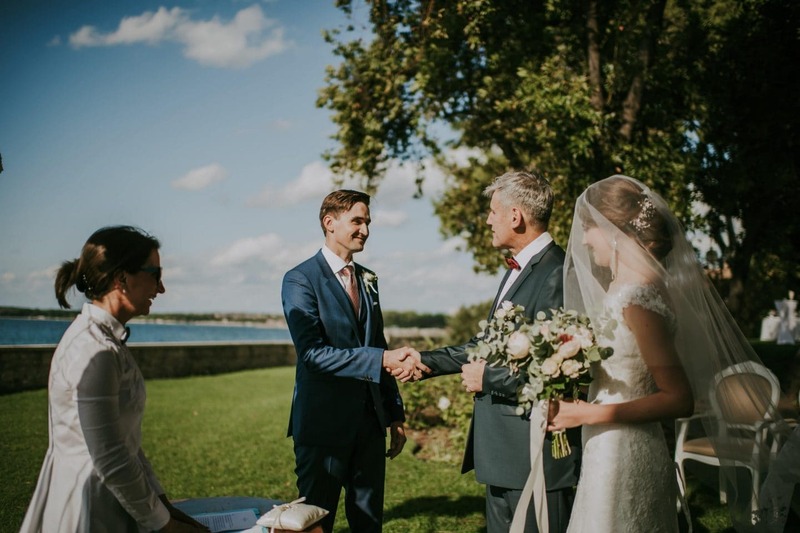 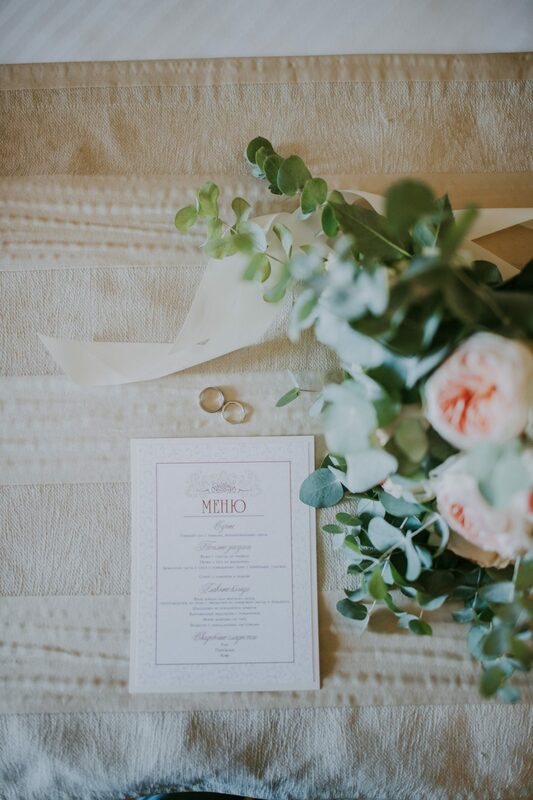 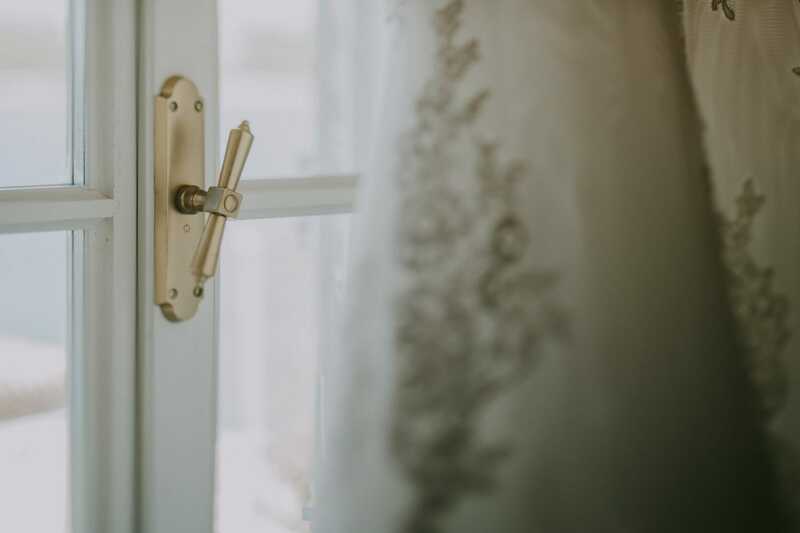 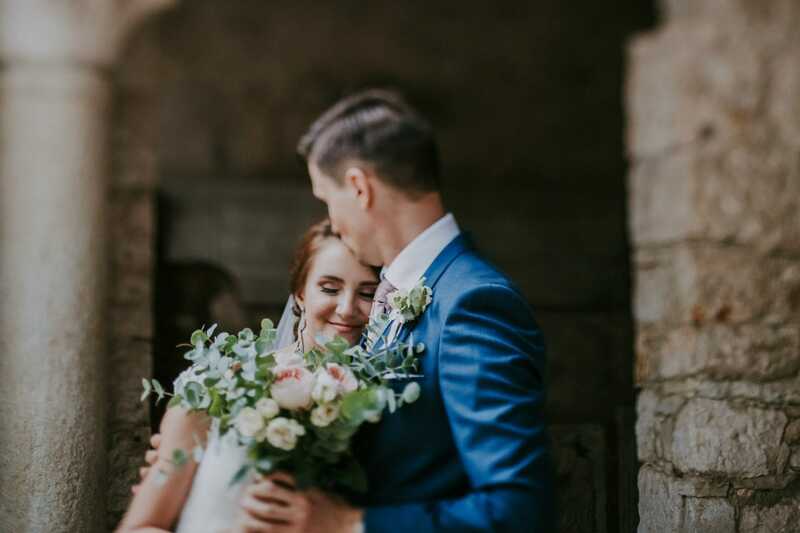 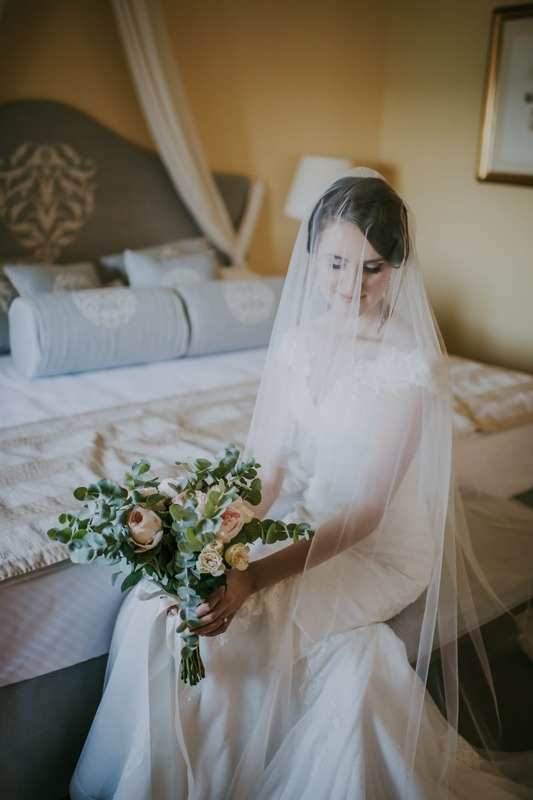 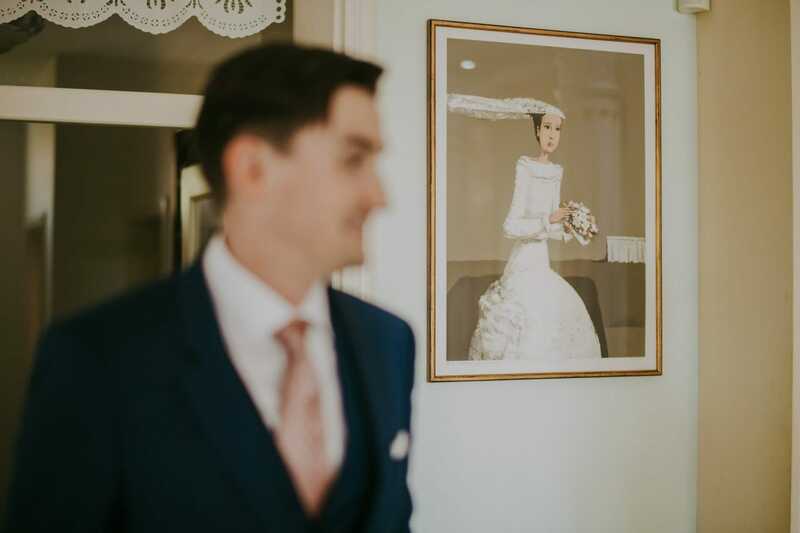 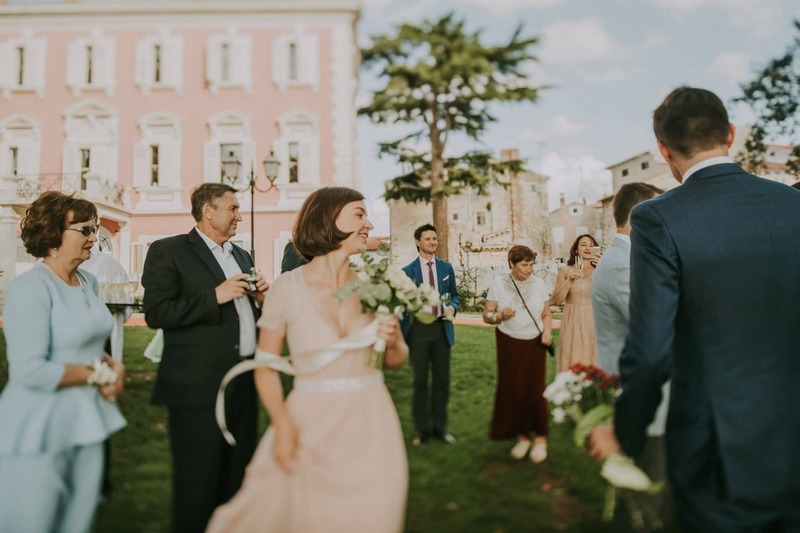 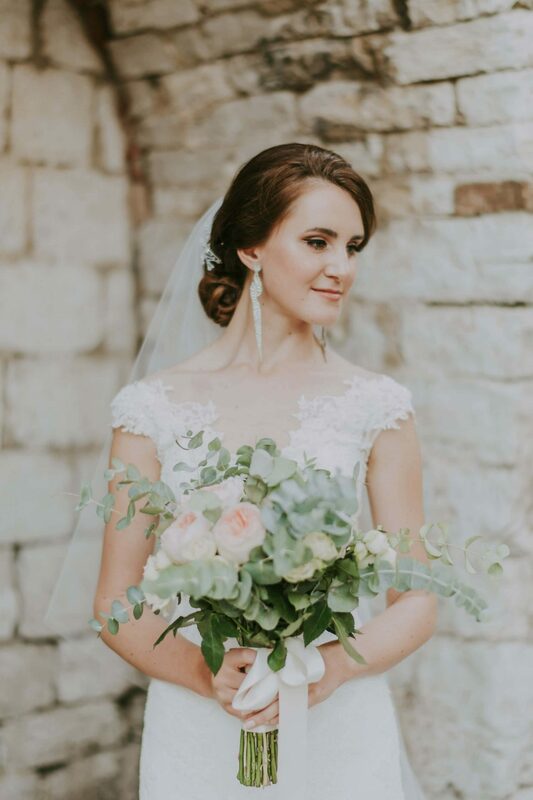 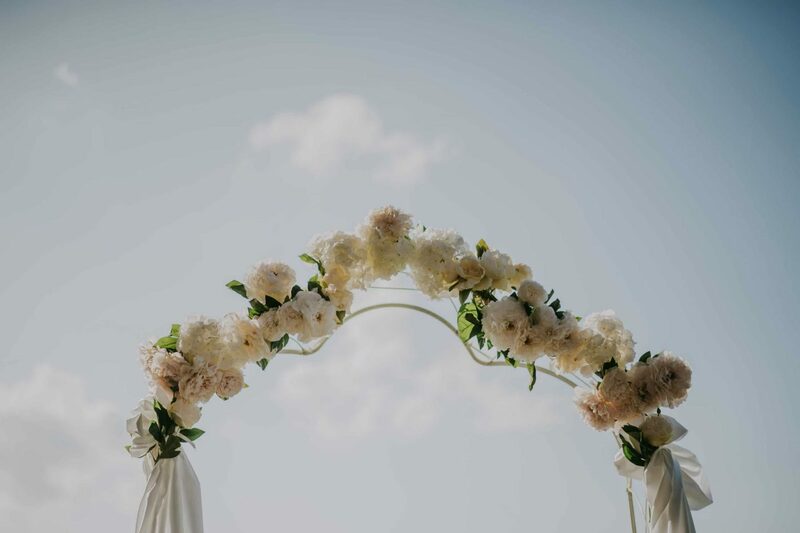 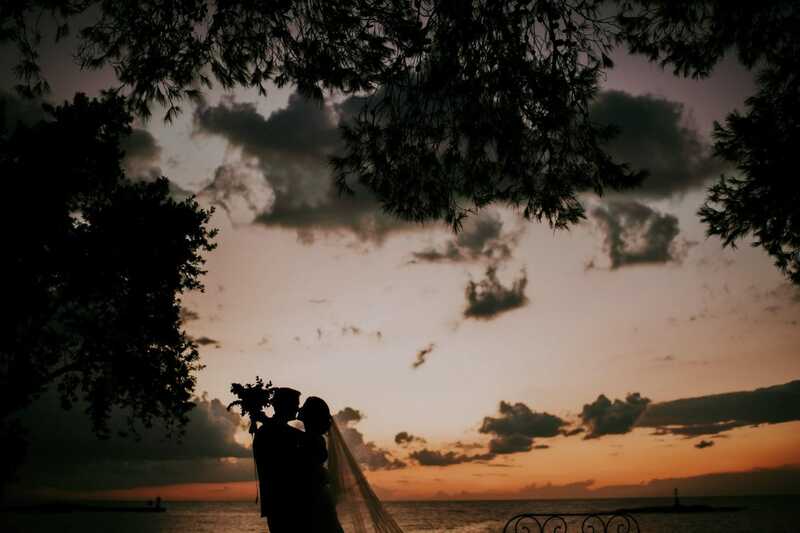 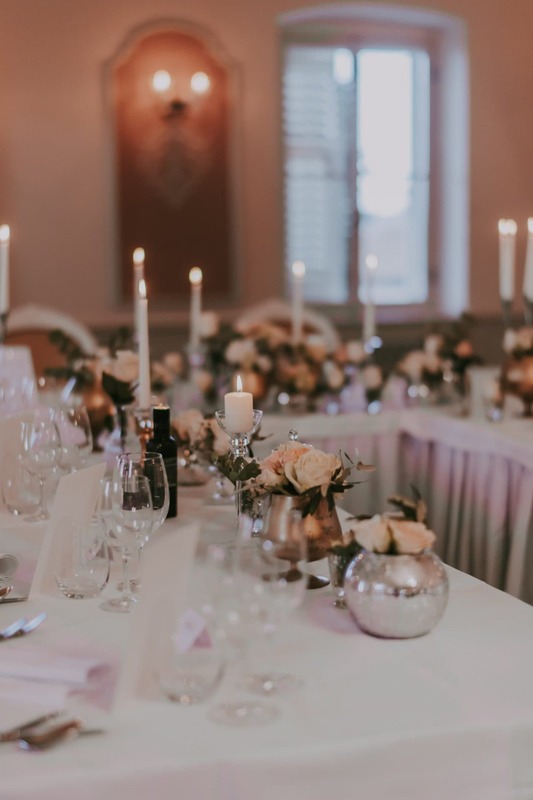 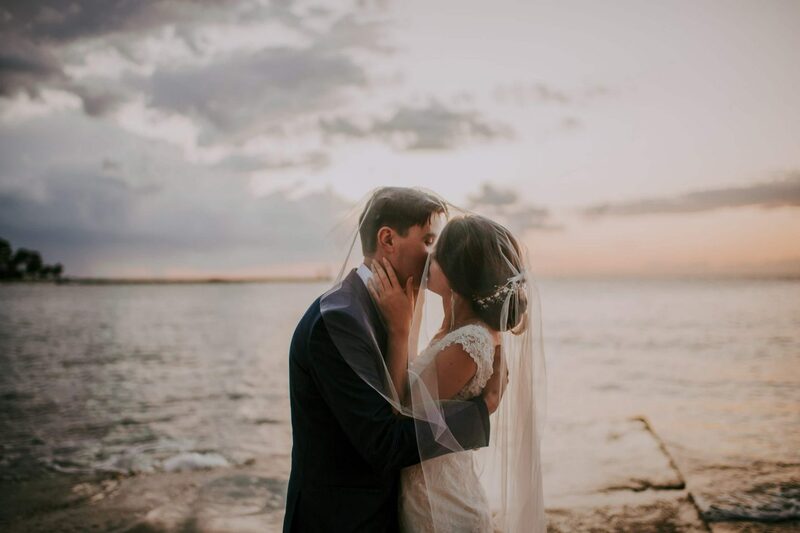 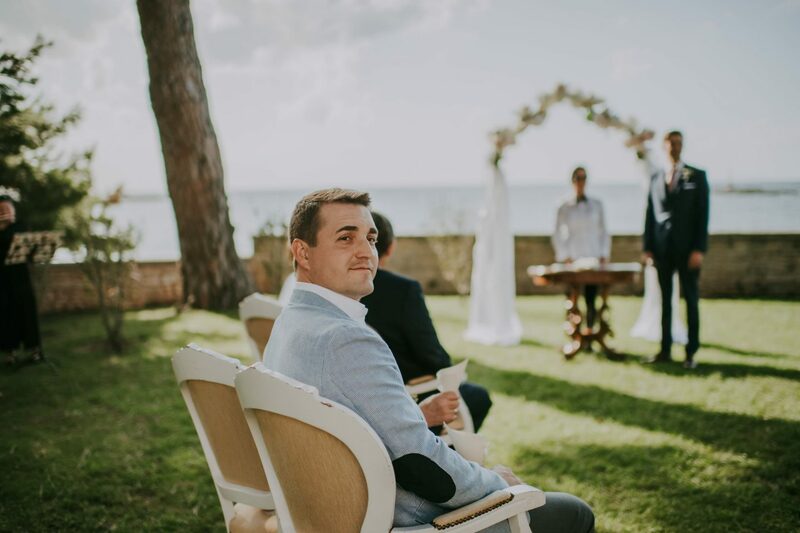 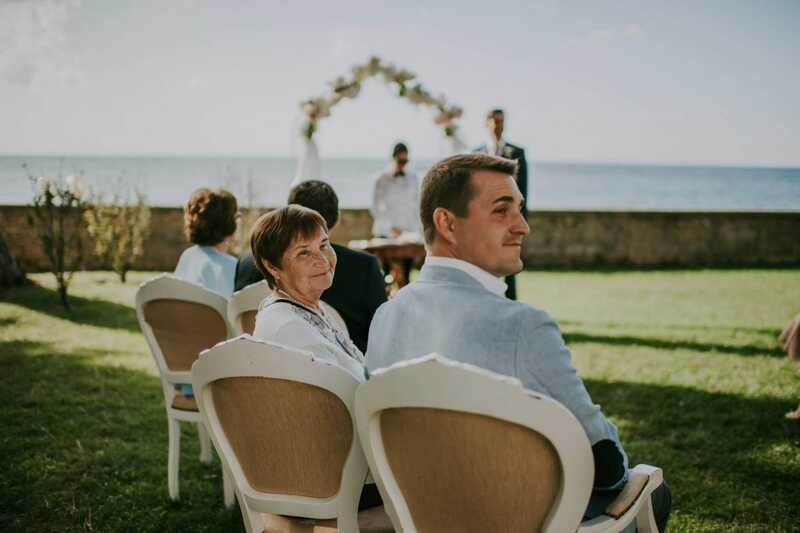 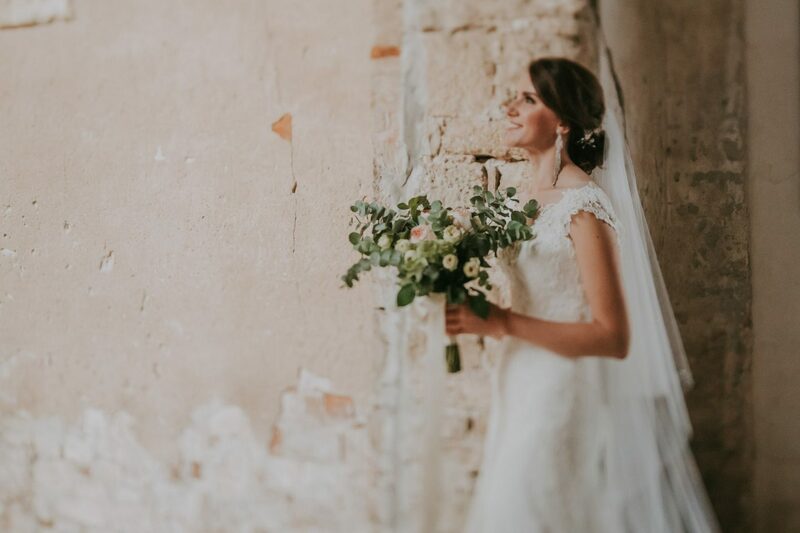 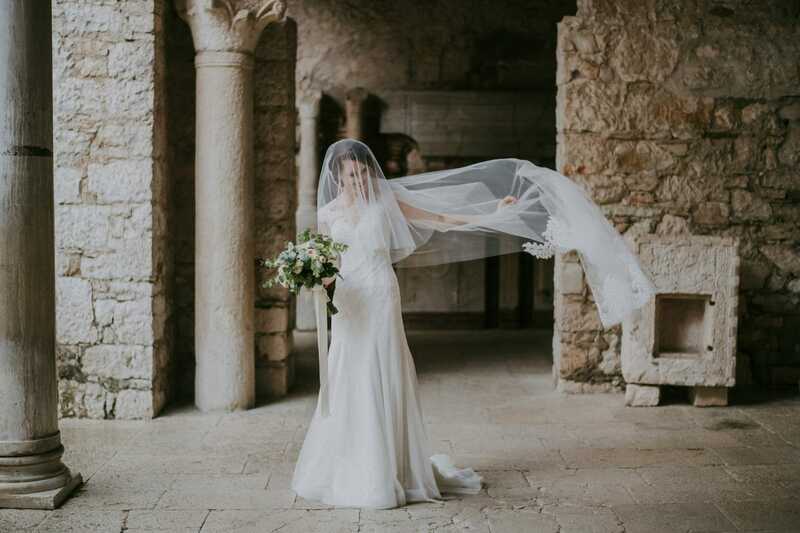 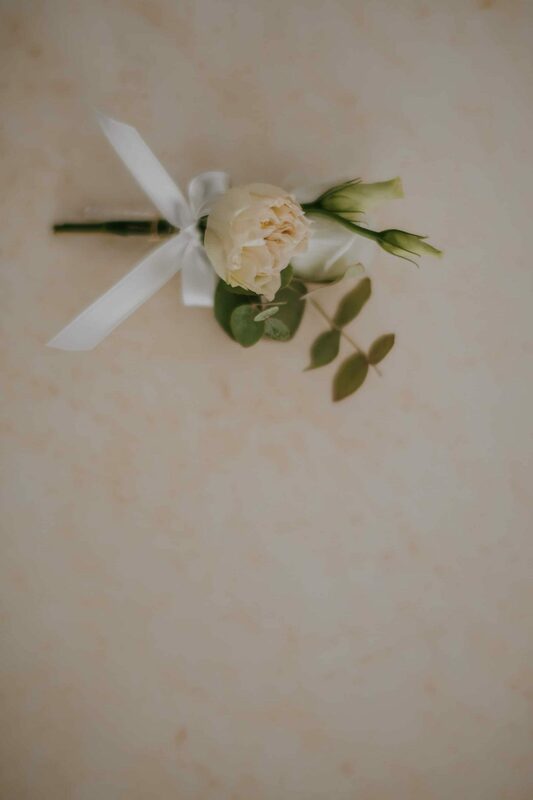 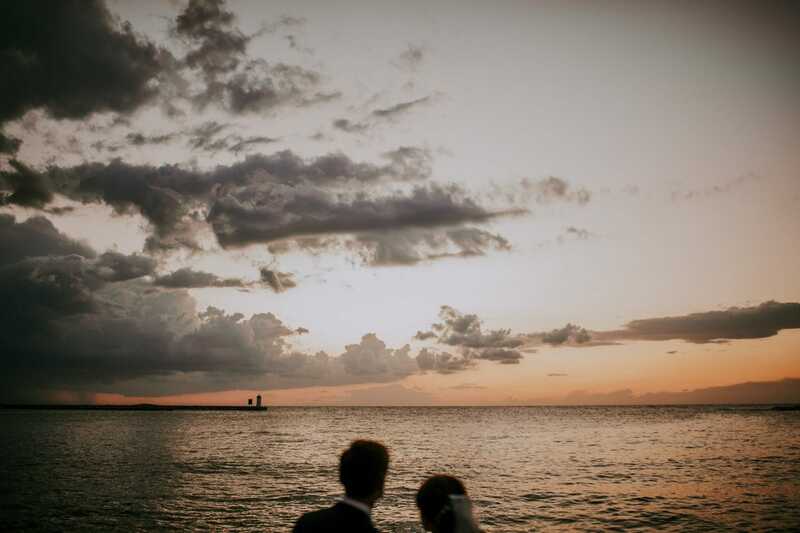 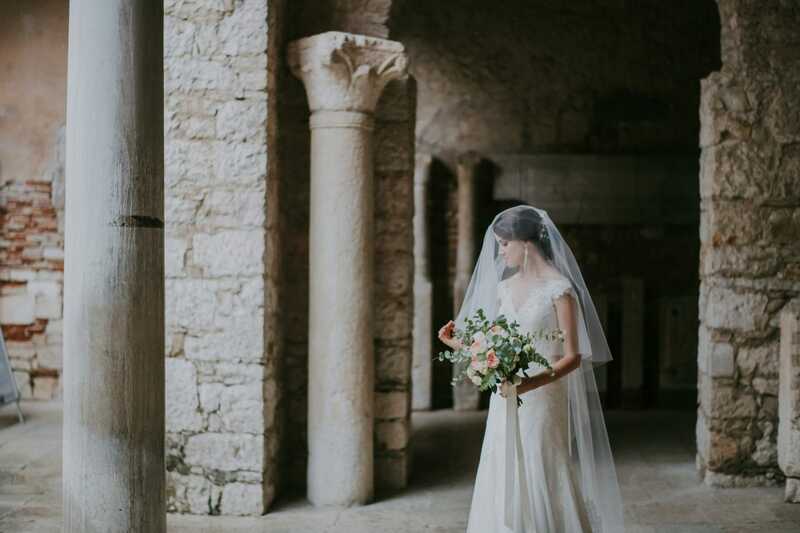 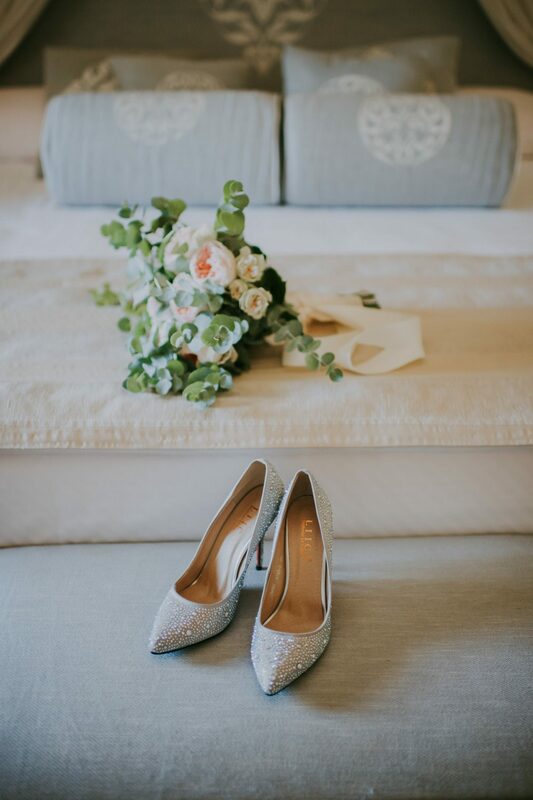 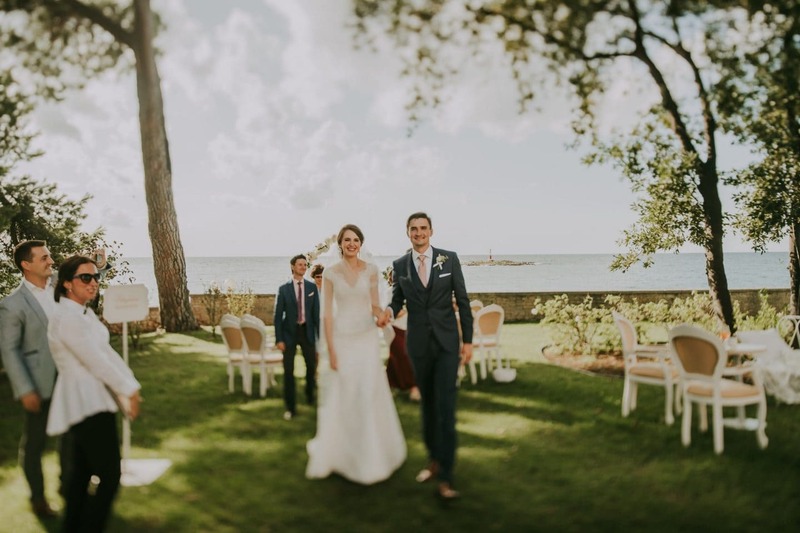 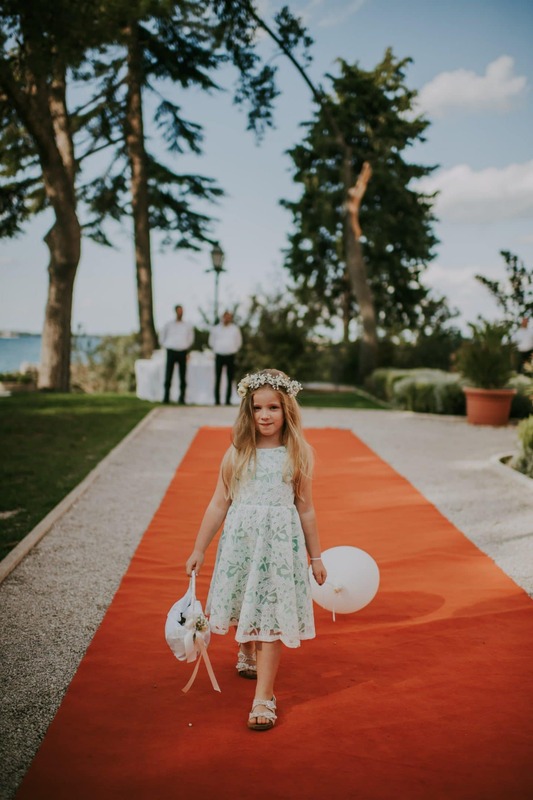 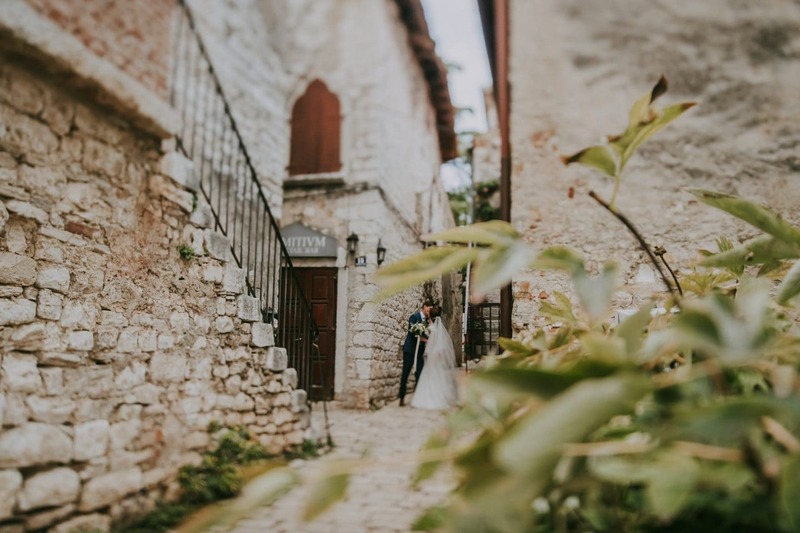 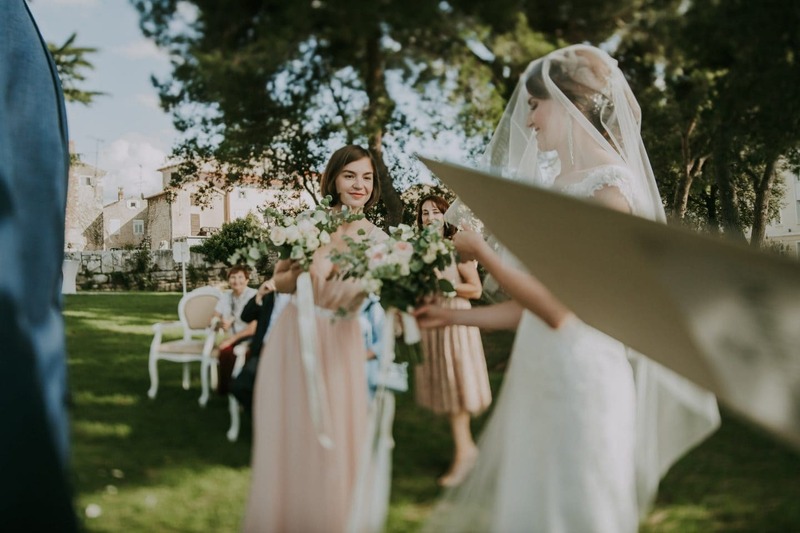 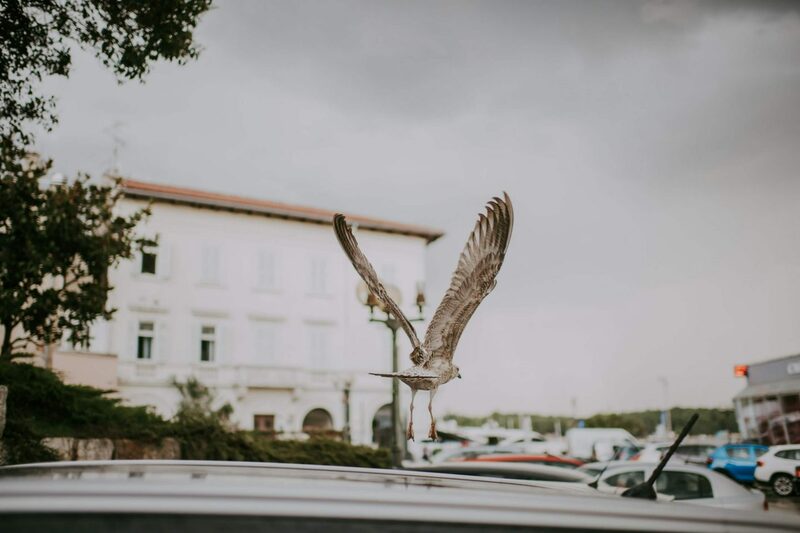 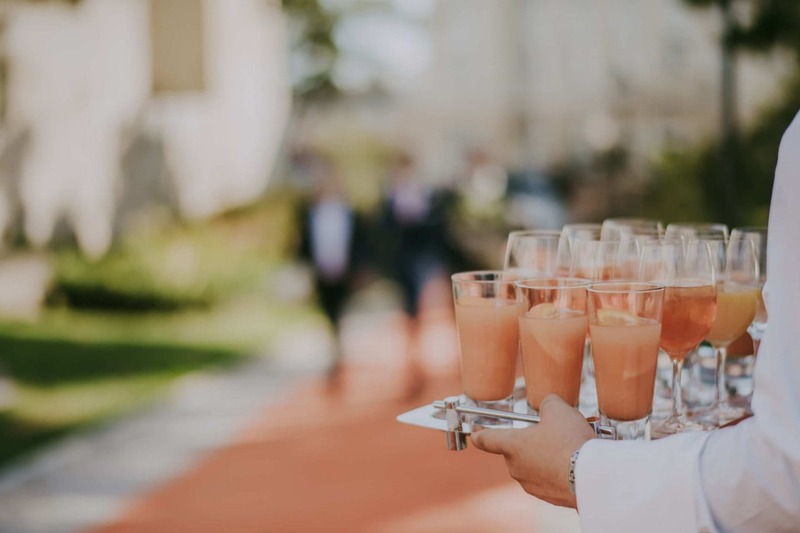 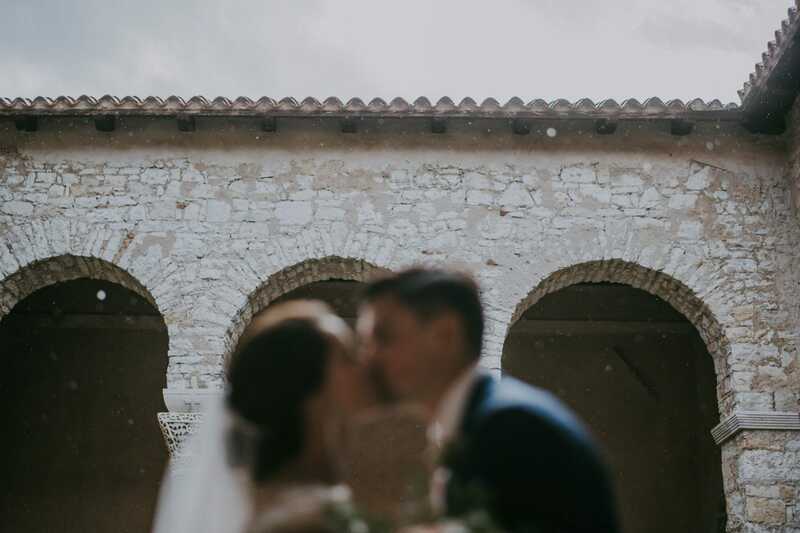 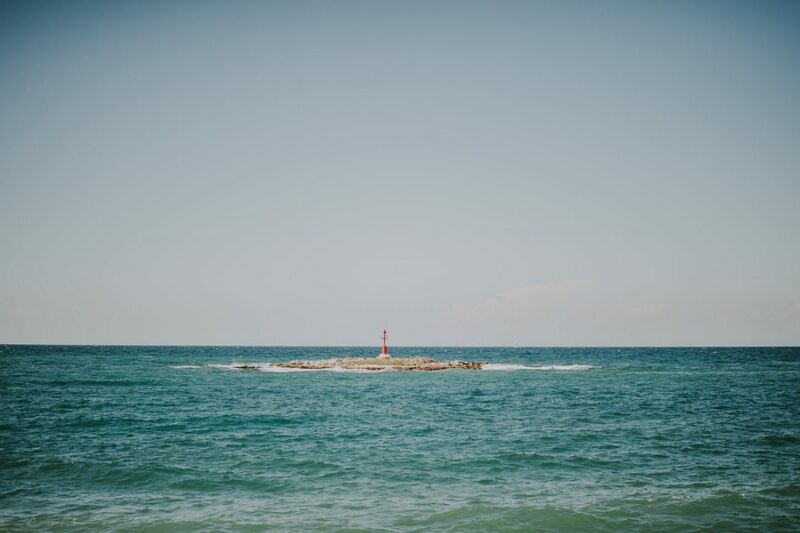 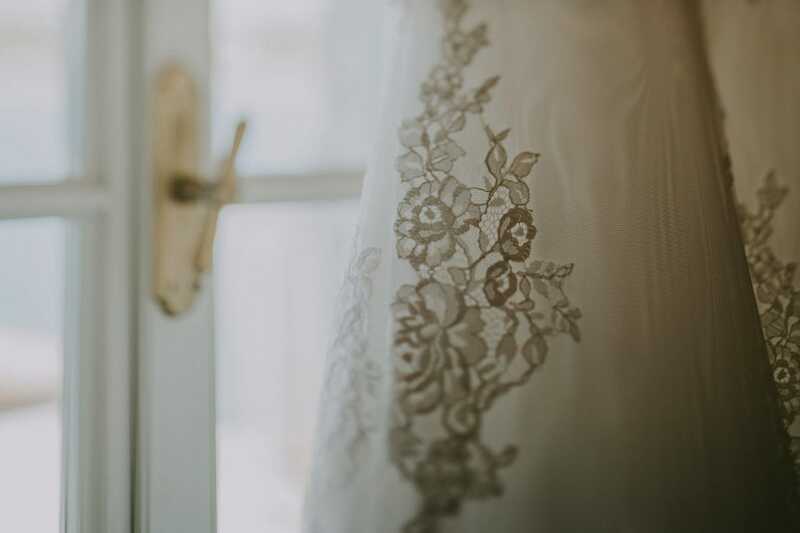 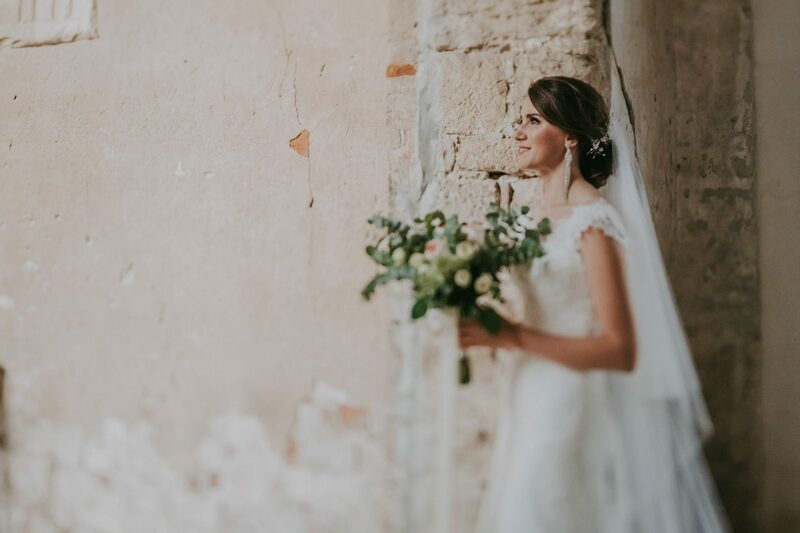 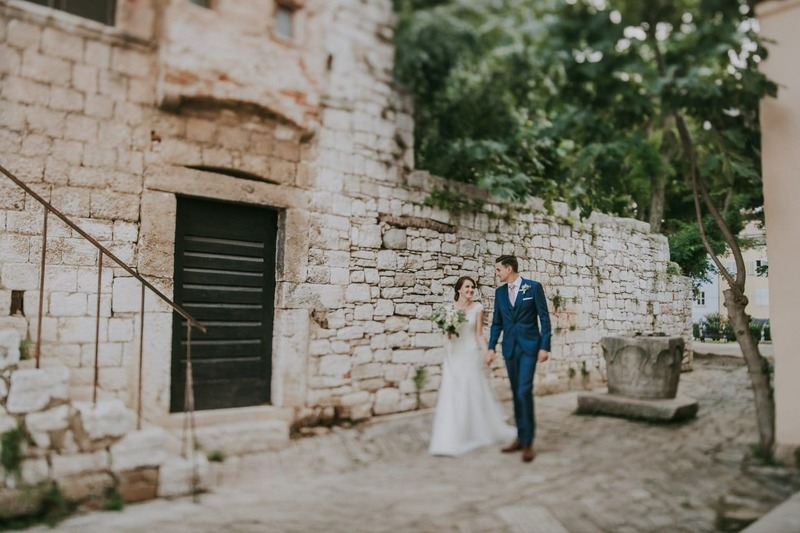 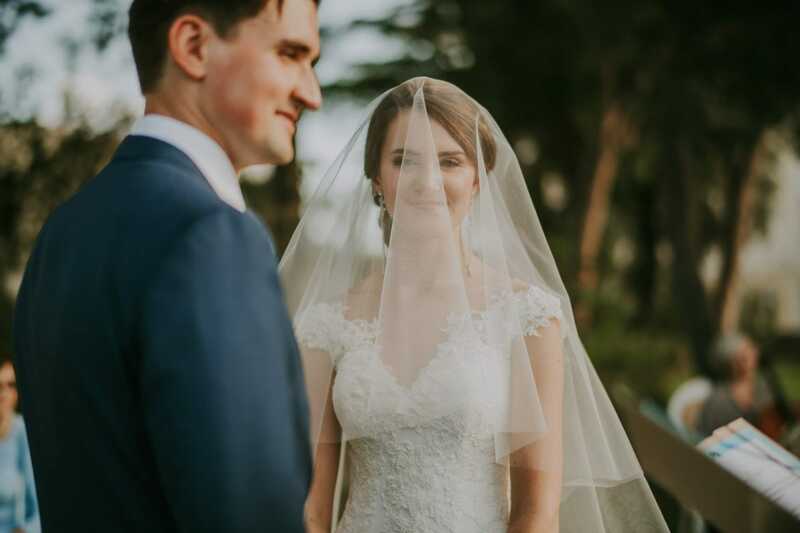 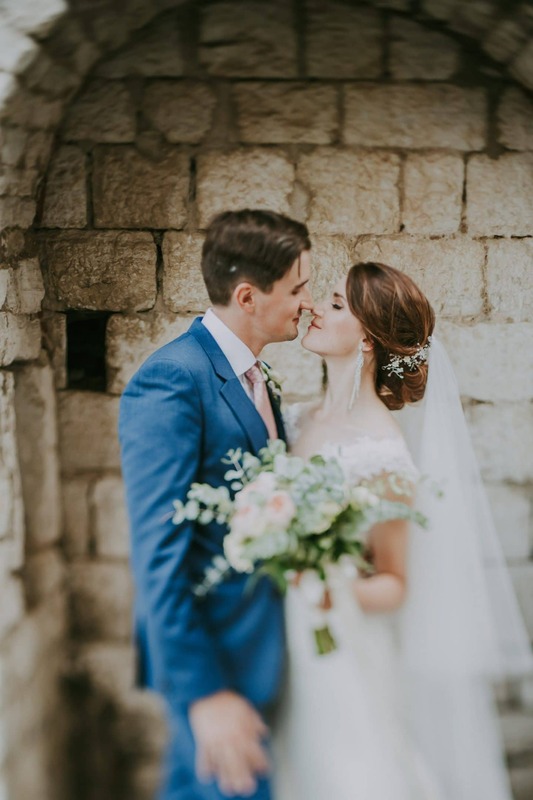 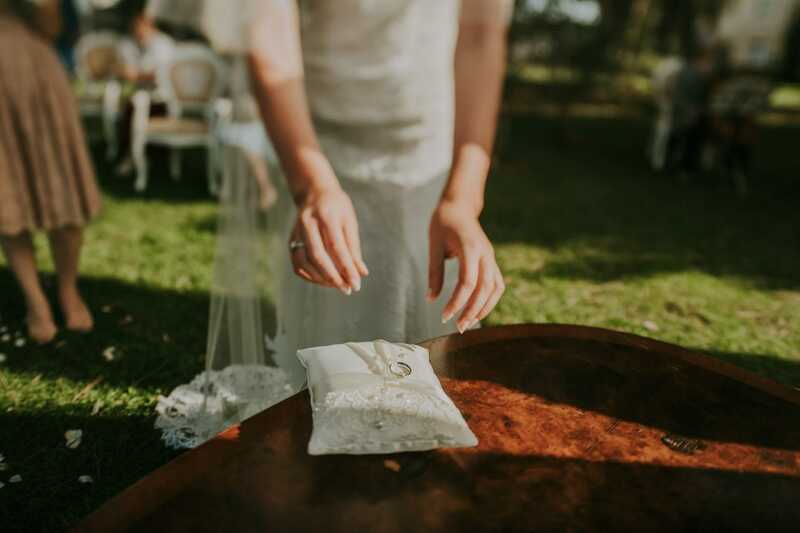 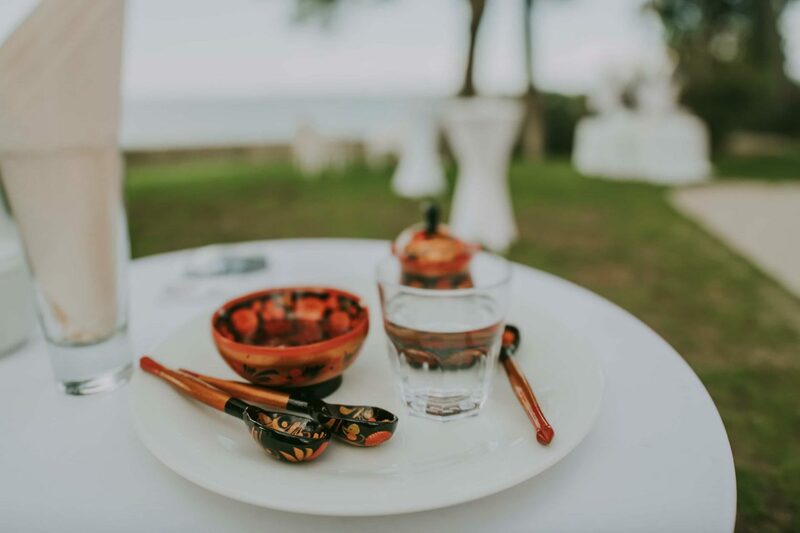 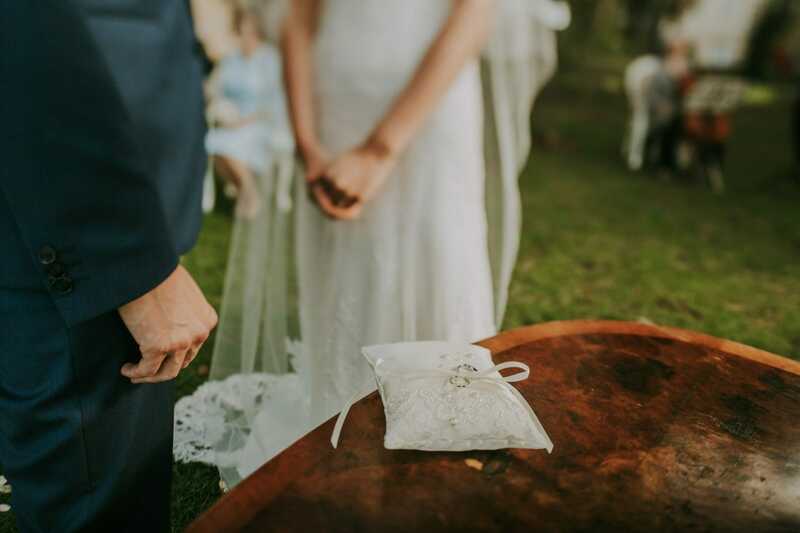 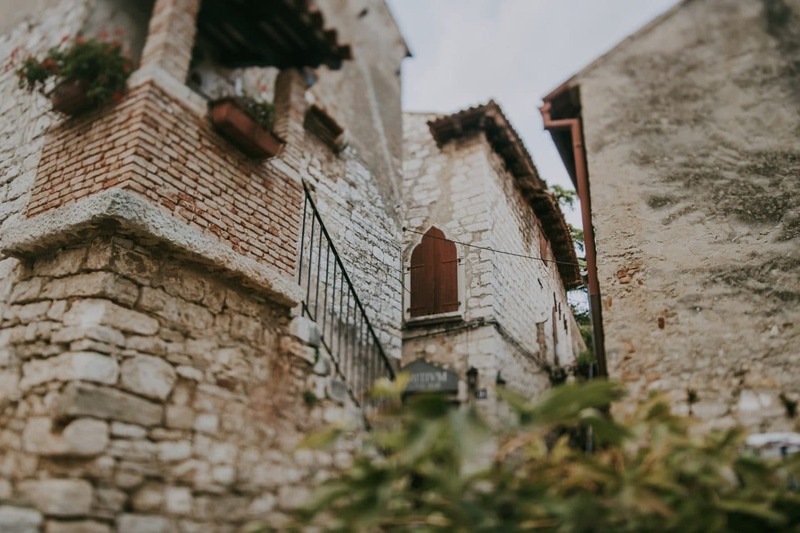 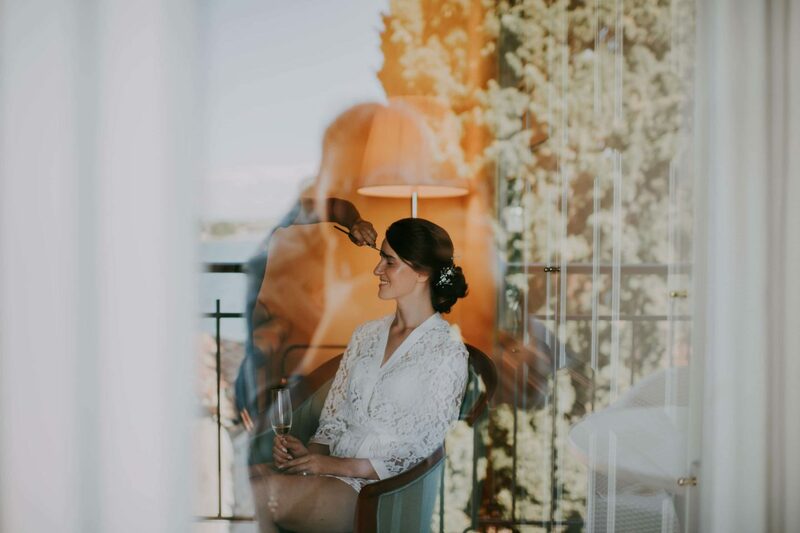 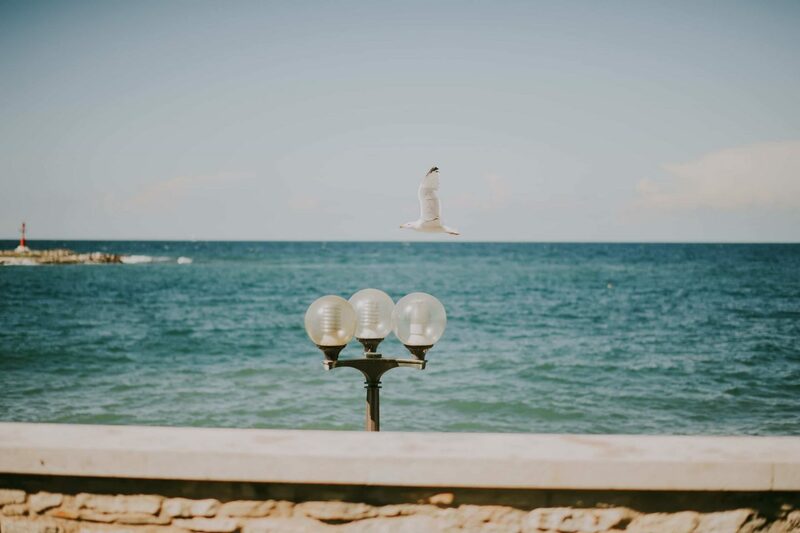 Maria and Igor chose one of the most beautiful venues in Istria, and getting married on an autumn day nearby the Adriatic sea is seriously perfect. 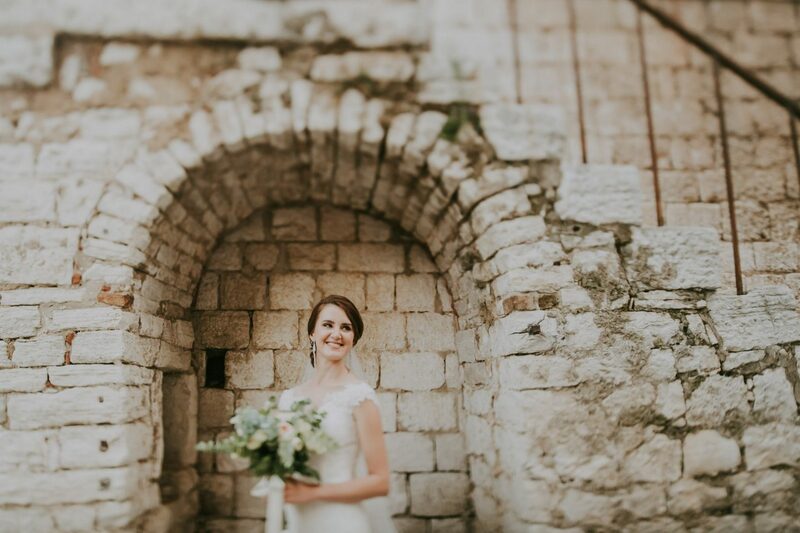 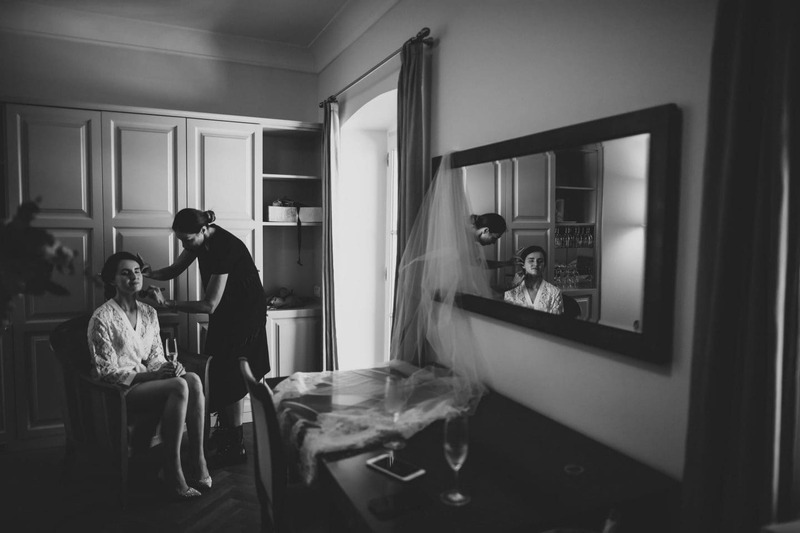 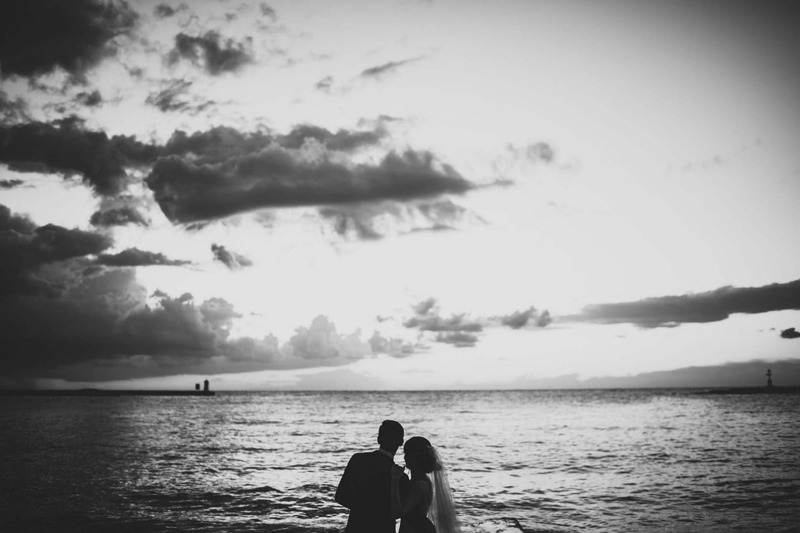 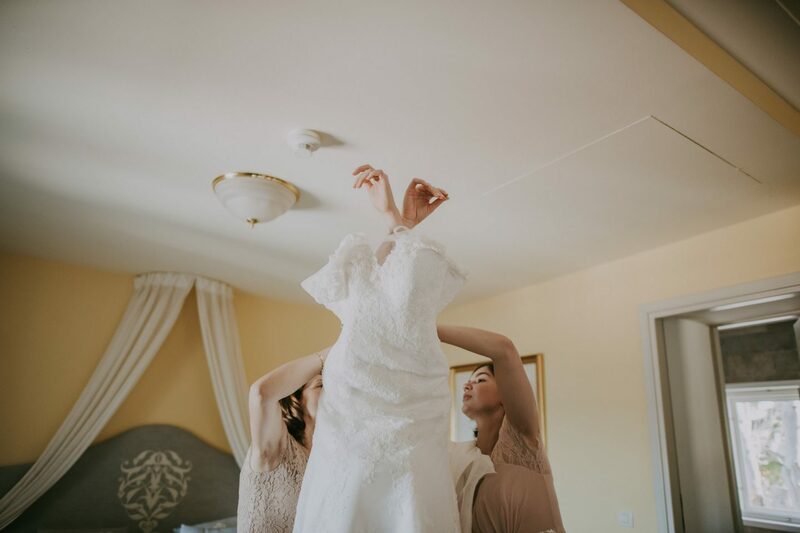 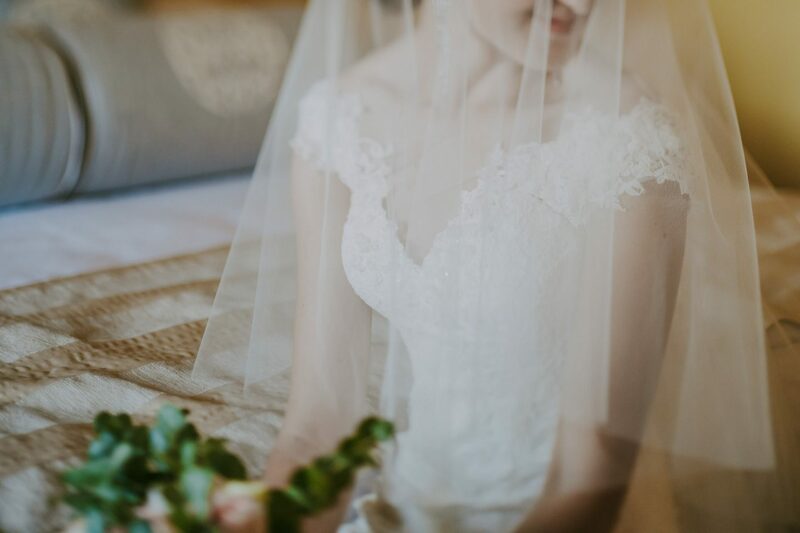 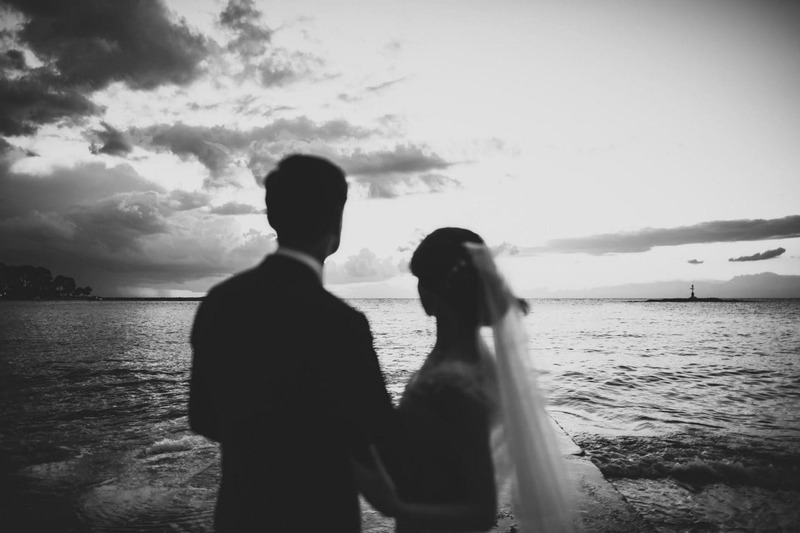 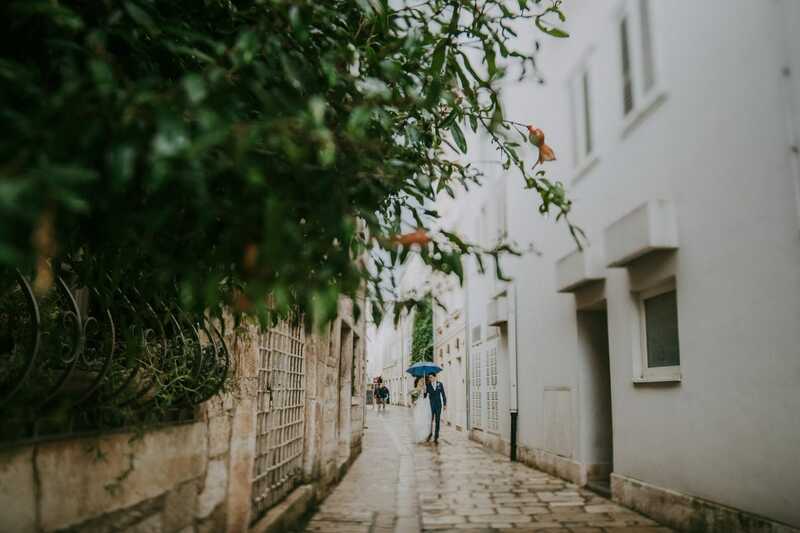 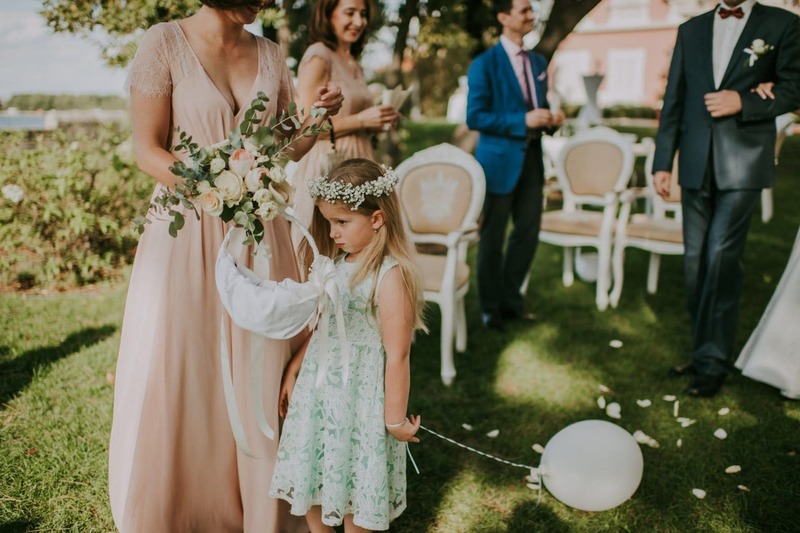 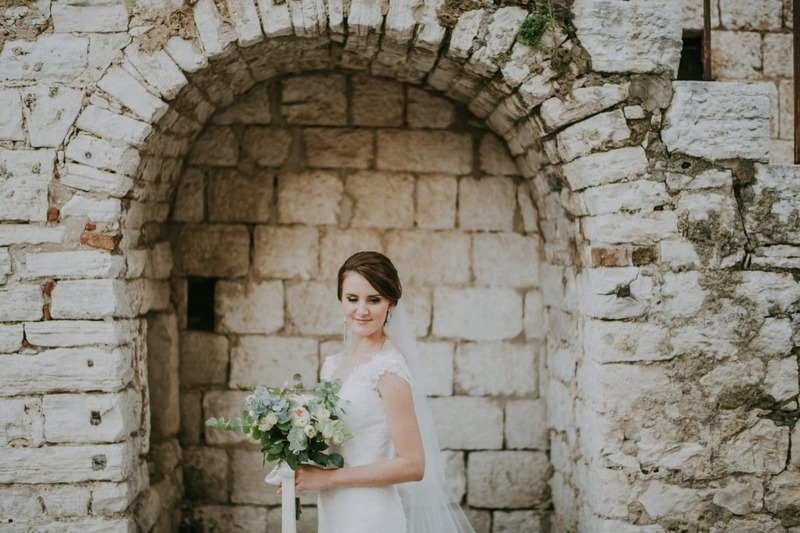 When she got ahold of us and asked us to shoot her wedding in Porec we were so excited. 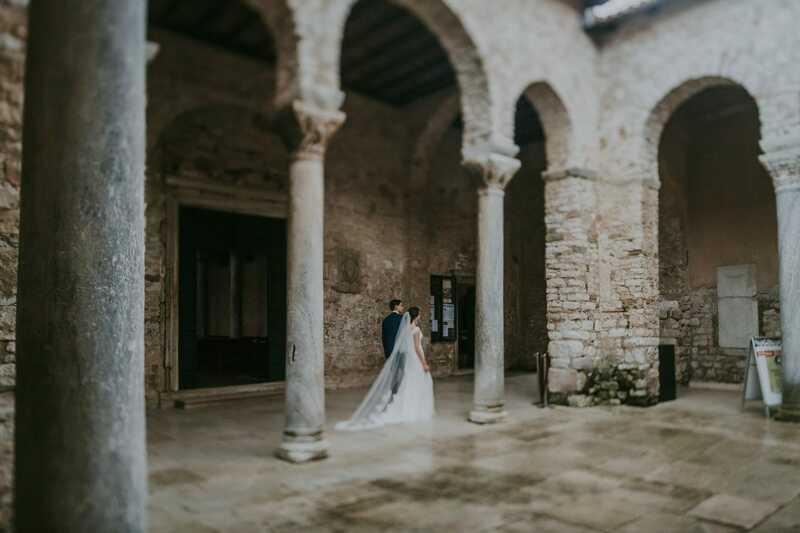 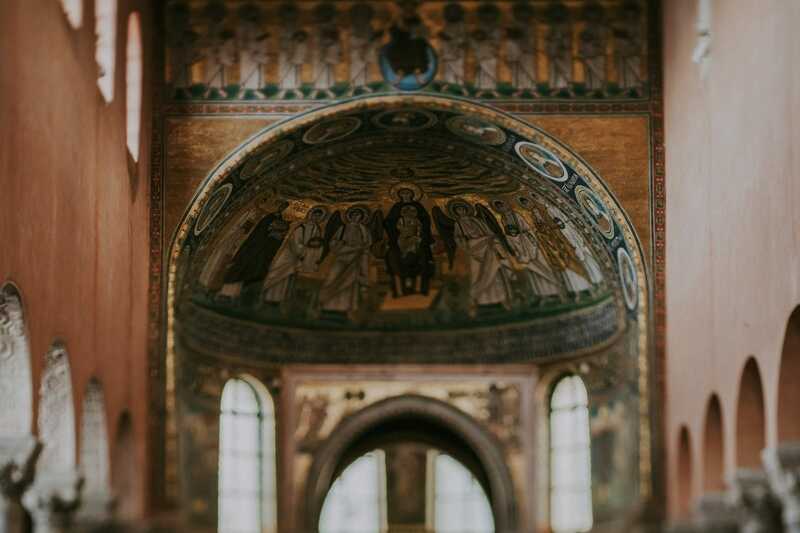 Villa Polesini is quickly becoming one of our favorite venues and most repeat venue location. 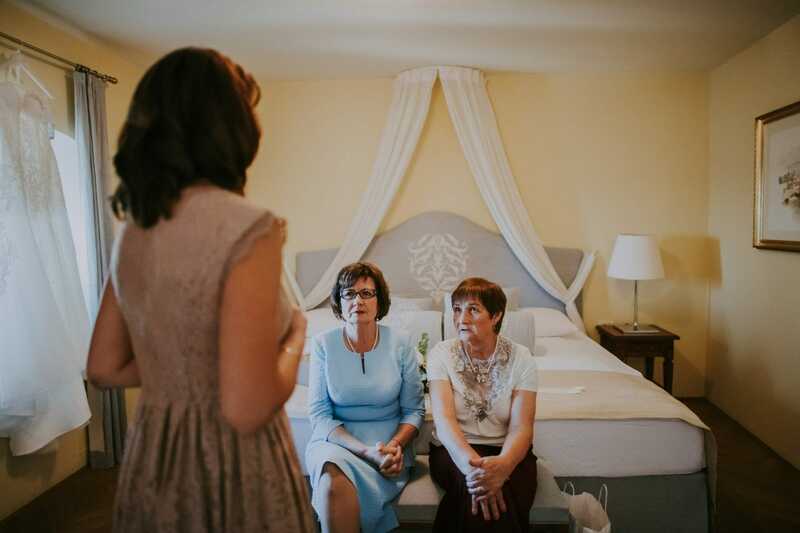 This was the third time we had the pleasure of documenting a wedding there. 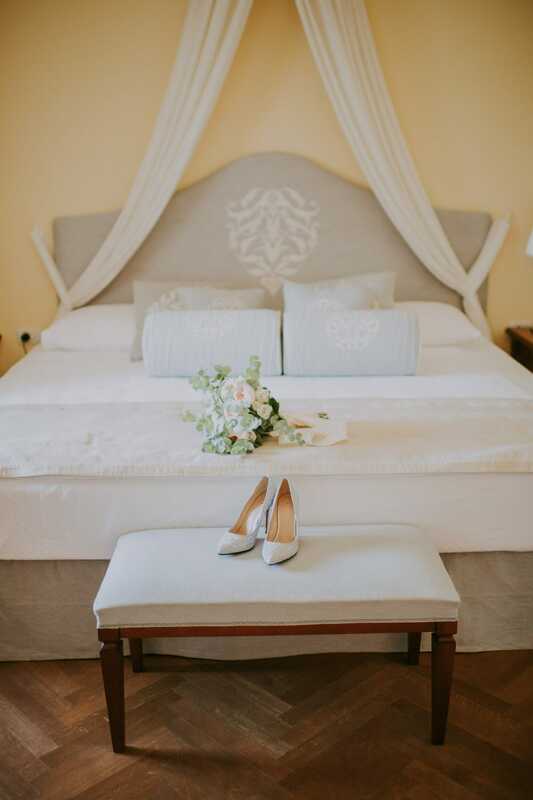 What we love about Villa Polesini is its all inclusiveness. 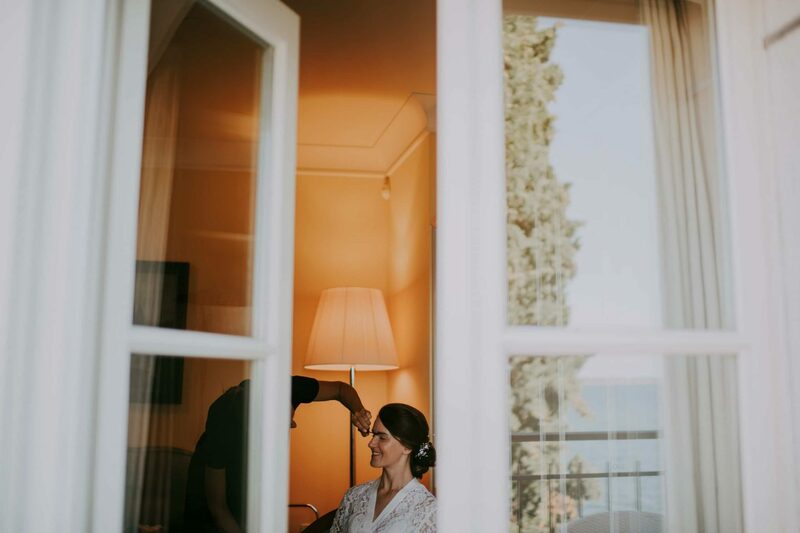 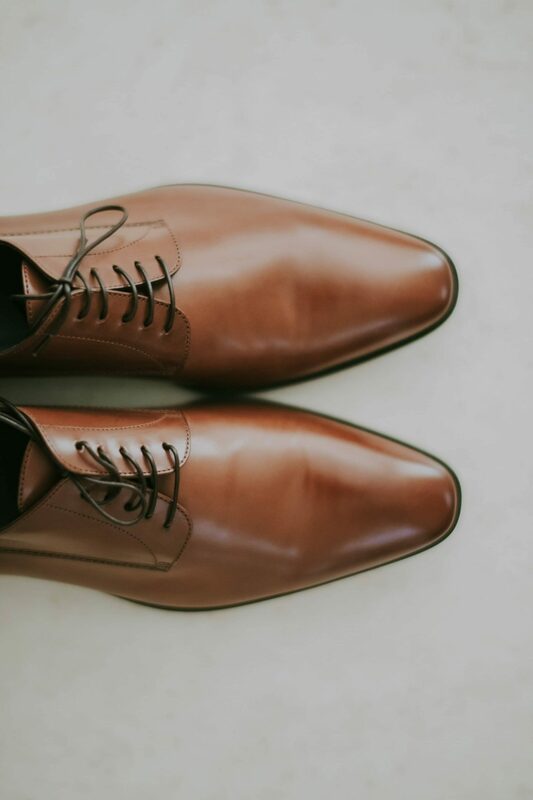 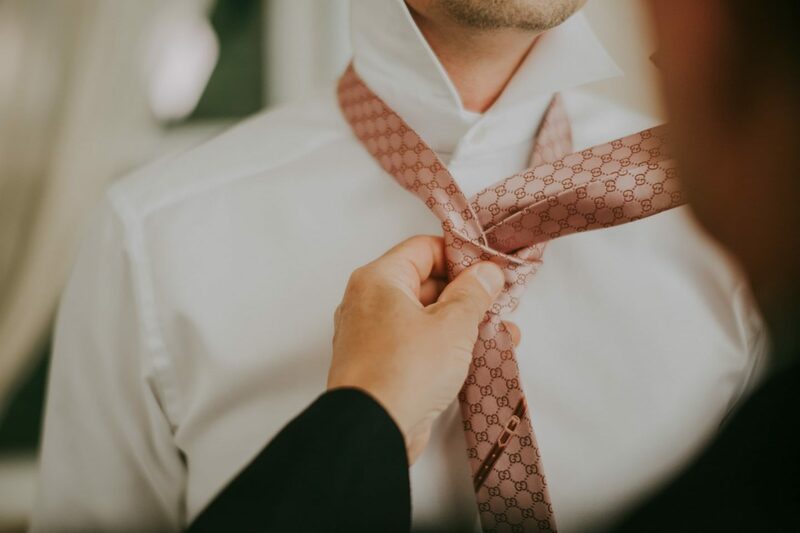 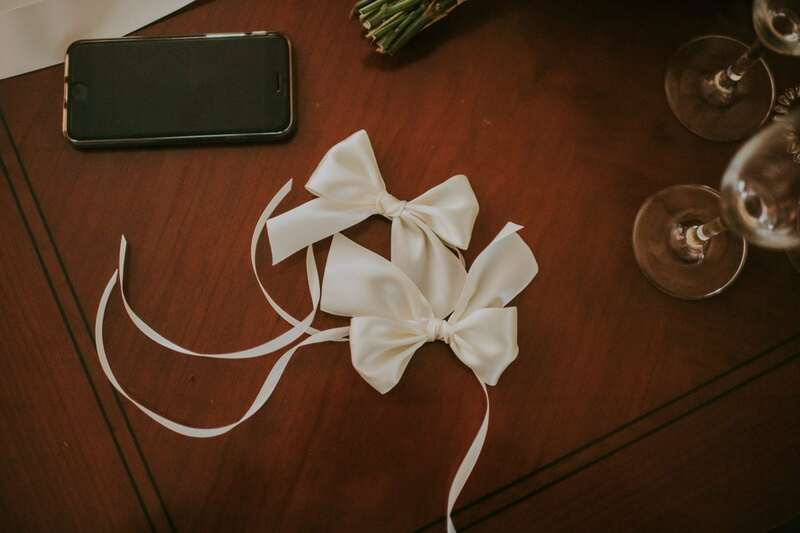 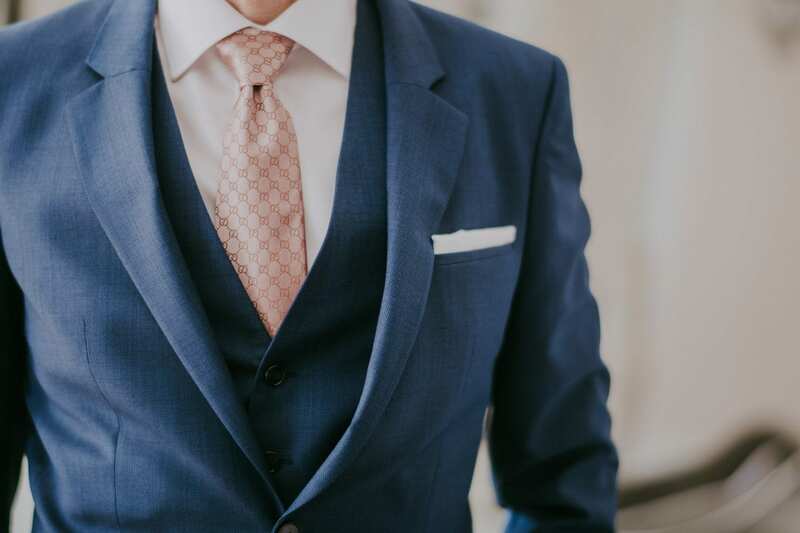 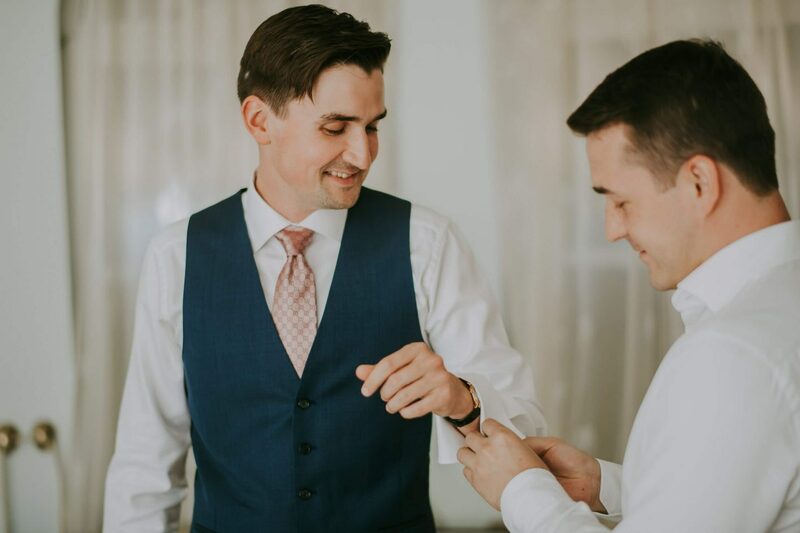 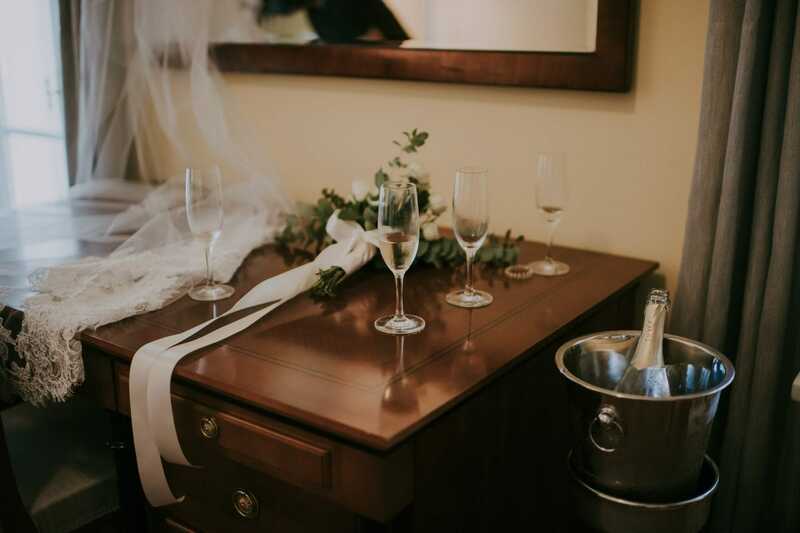 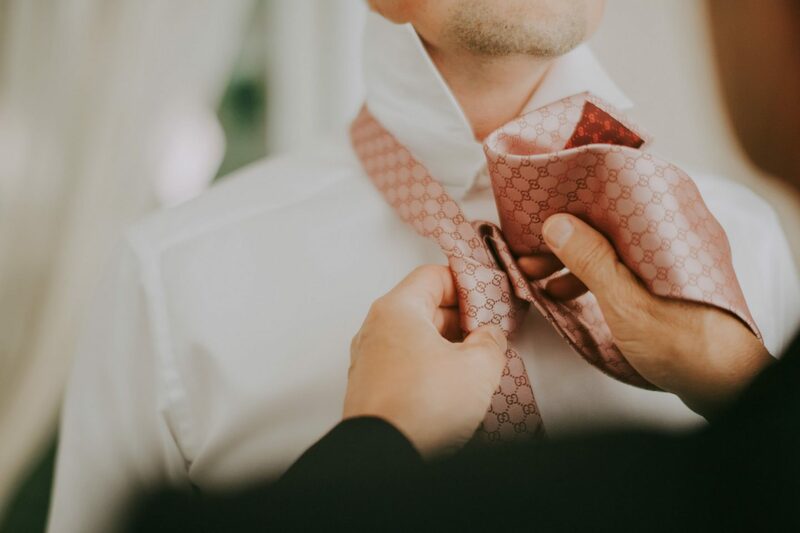 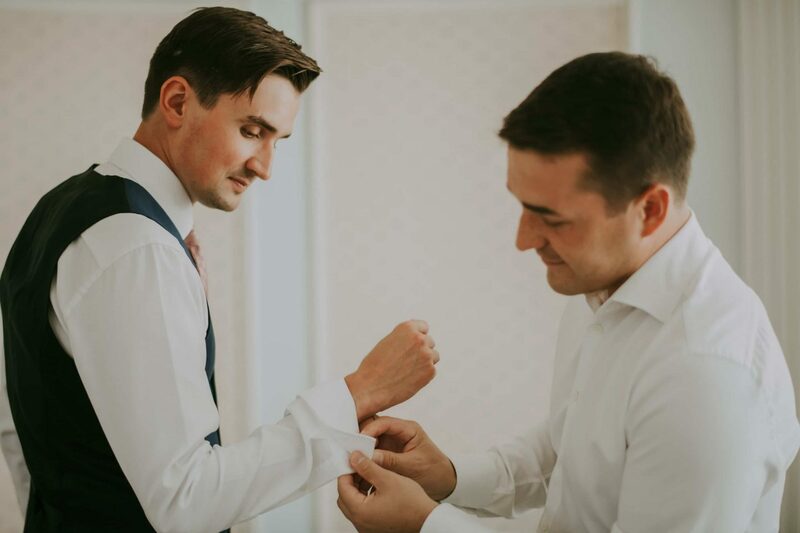 We like how getting ready, the ceremony, cocktail hour and the reception are all in one place. 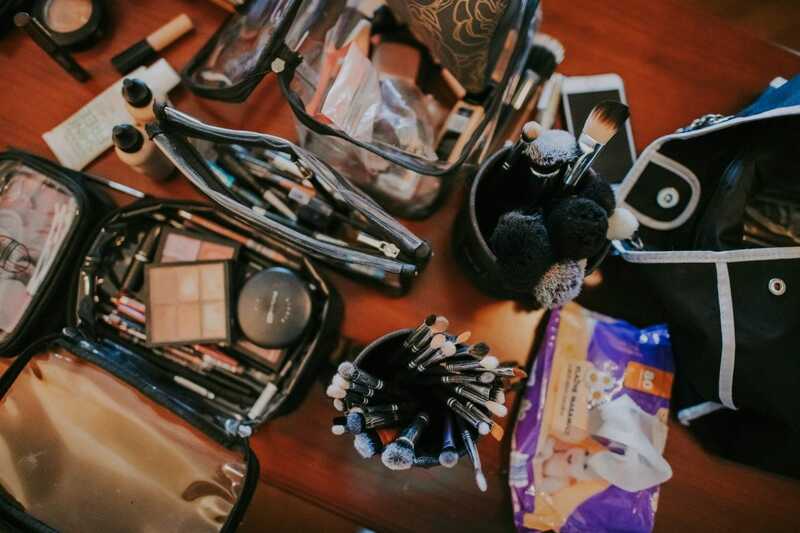 It makes the whole day a lot more stress free. 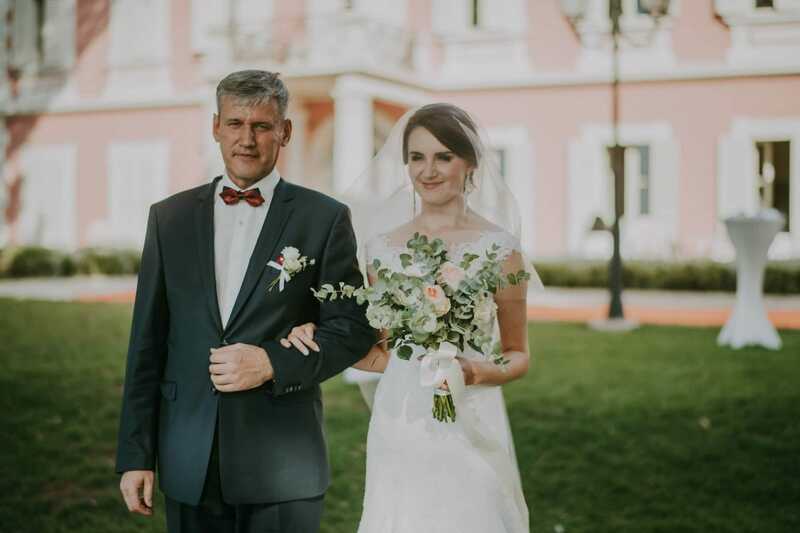 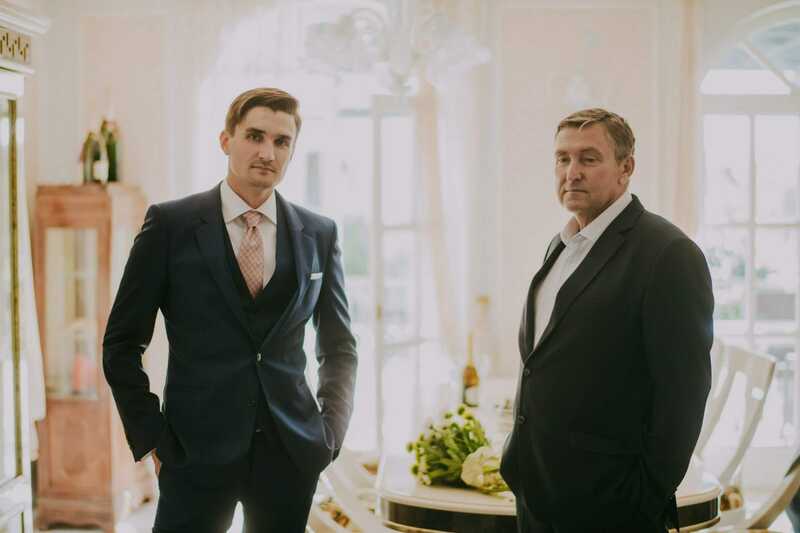 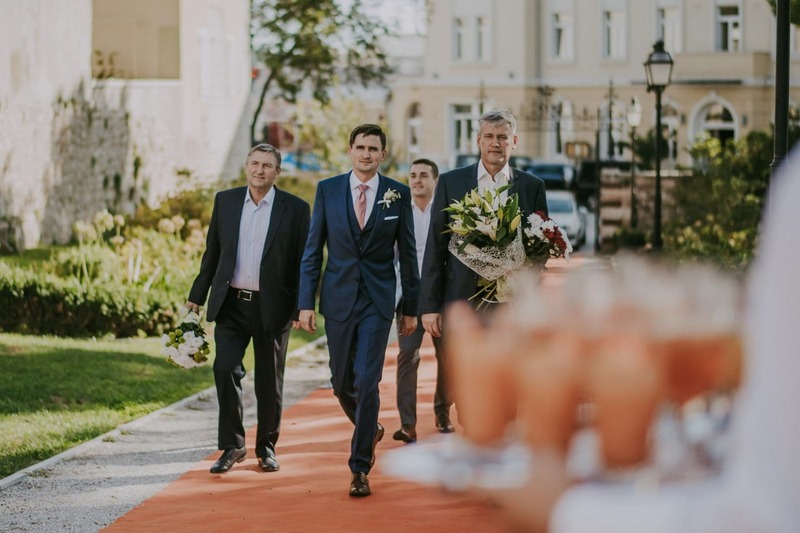 This sweet couple from Russia surrounded themselves with their parents only and with that came lots and lots of funny stories during their reception, speeches and just an overall fun and relaxing vibe to their wedding. 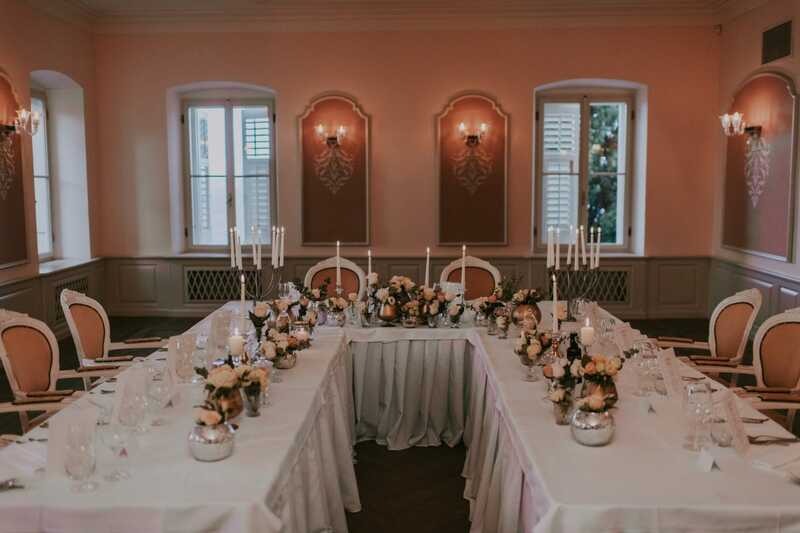 Despite the small number of guests, the whole wedding concept turned out beautifully! 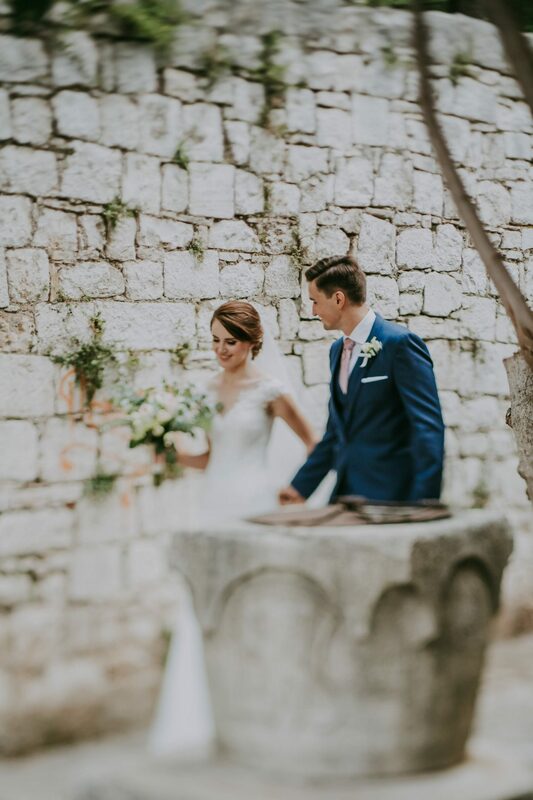 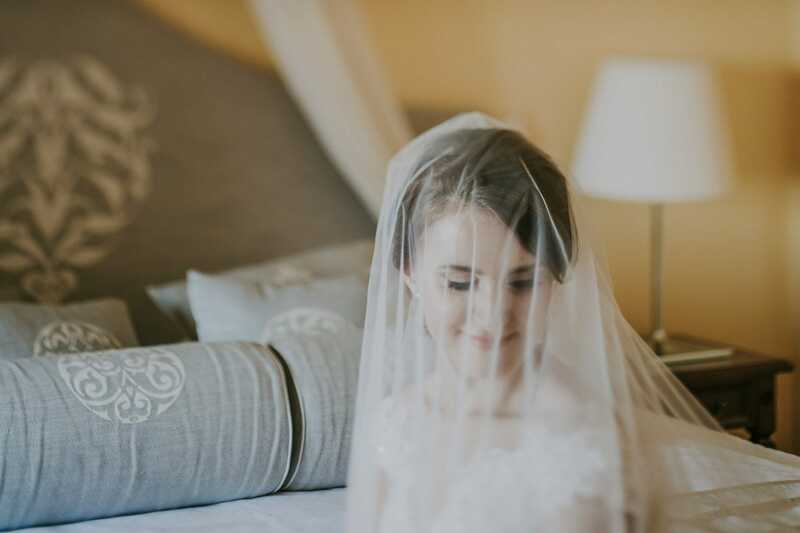 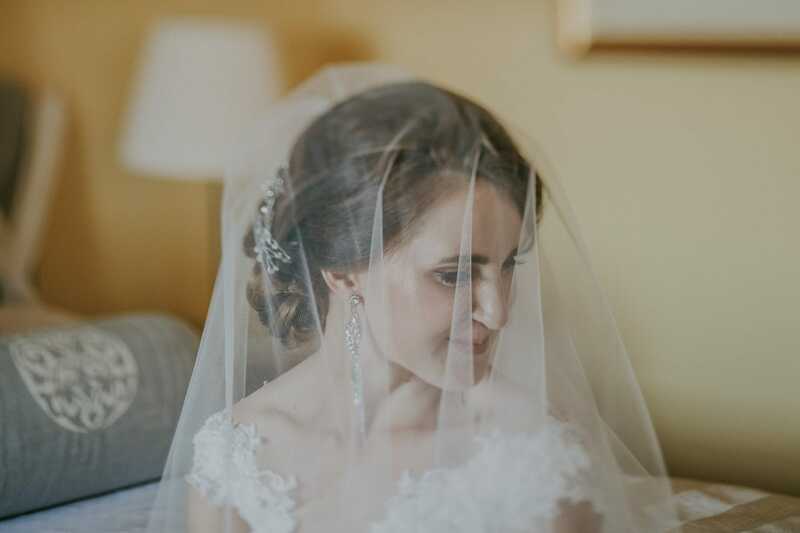 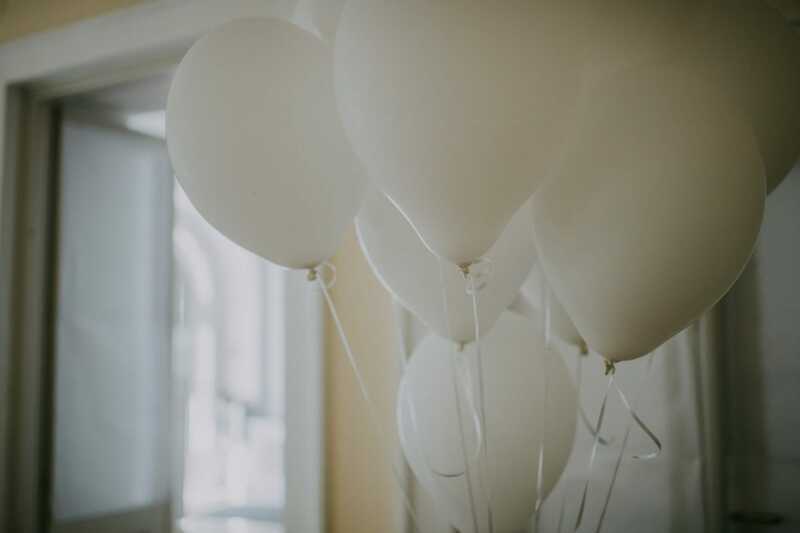 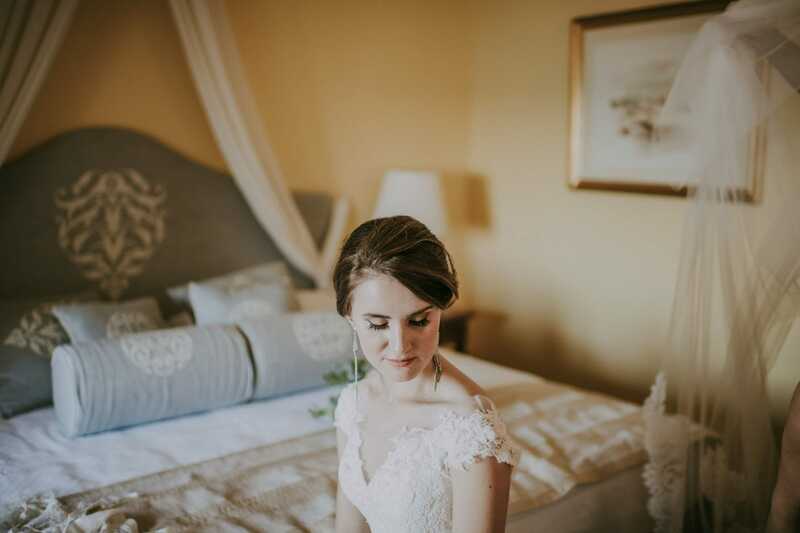 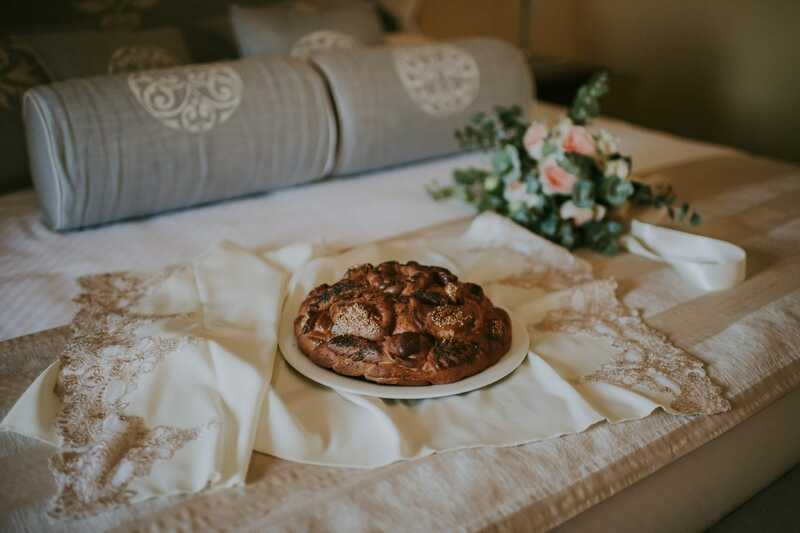 Olga, the wedding planner from Croatian Wedding did it great! 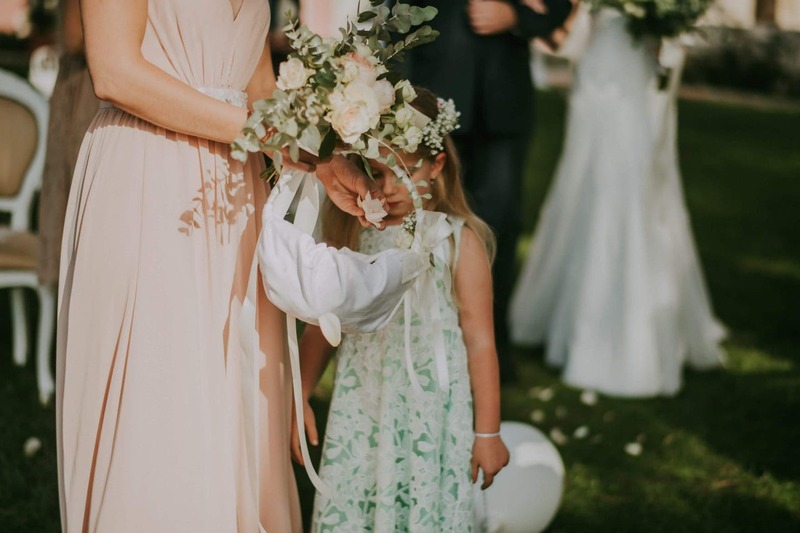 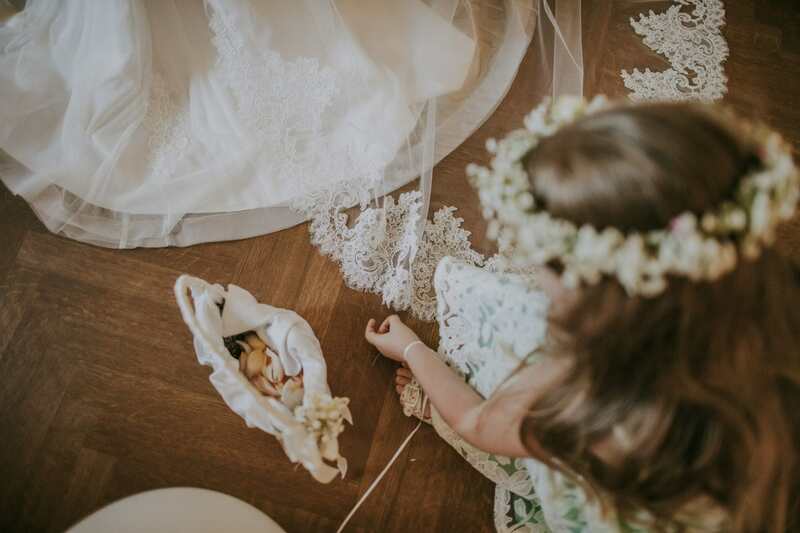 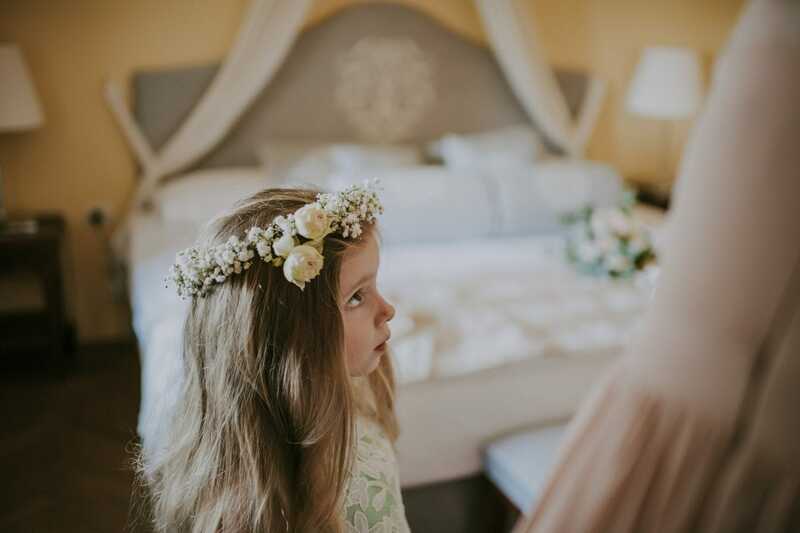 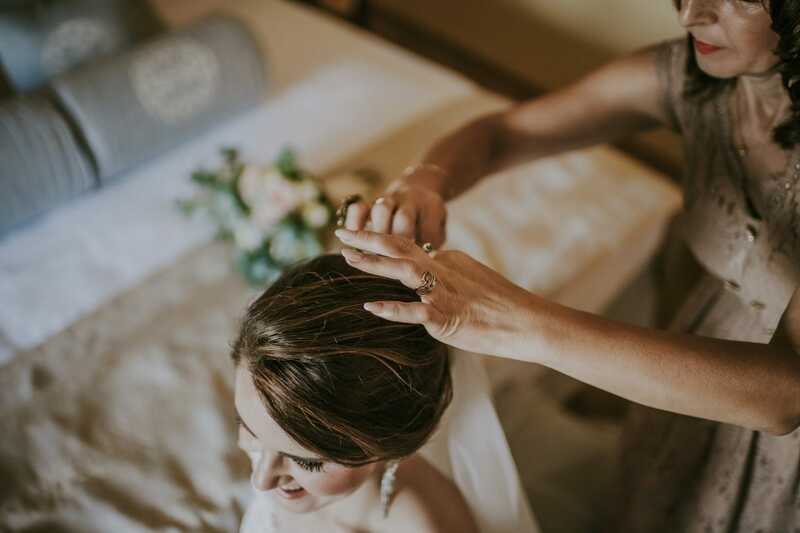 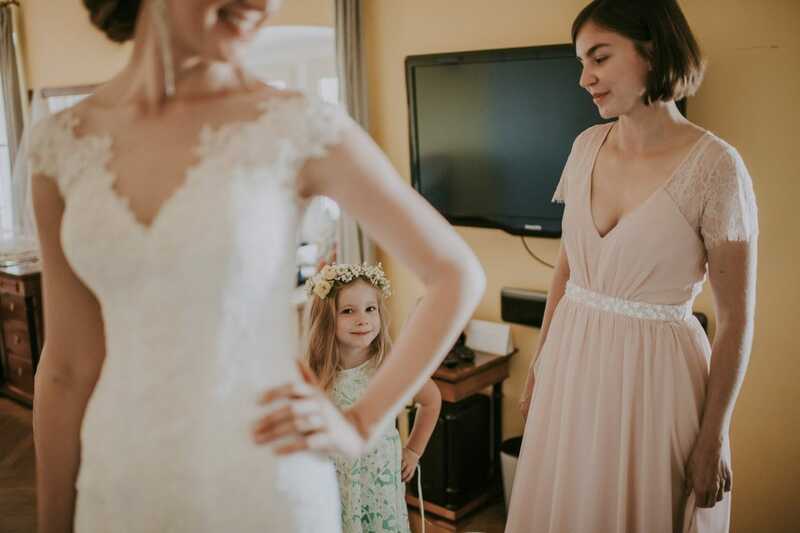 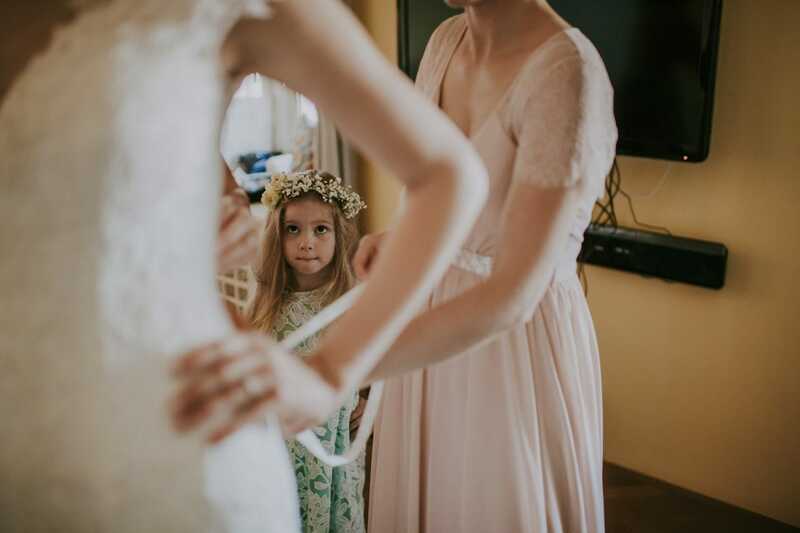 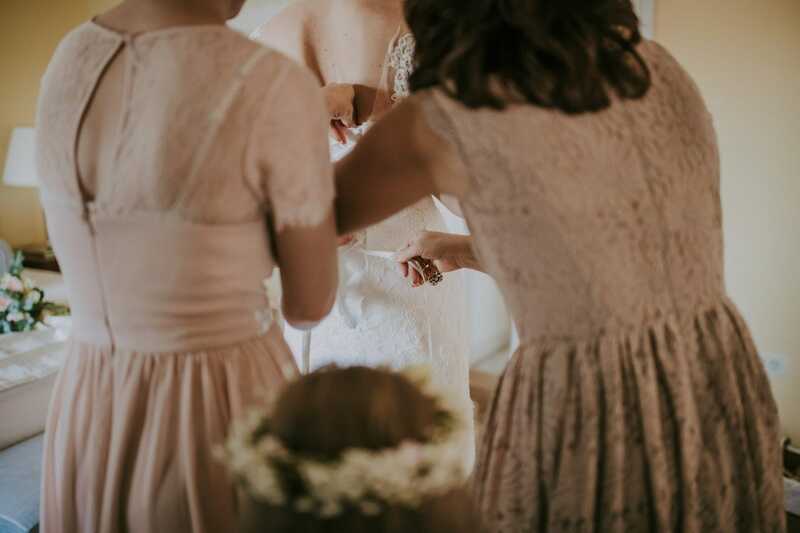 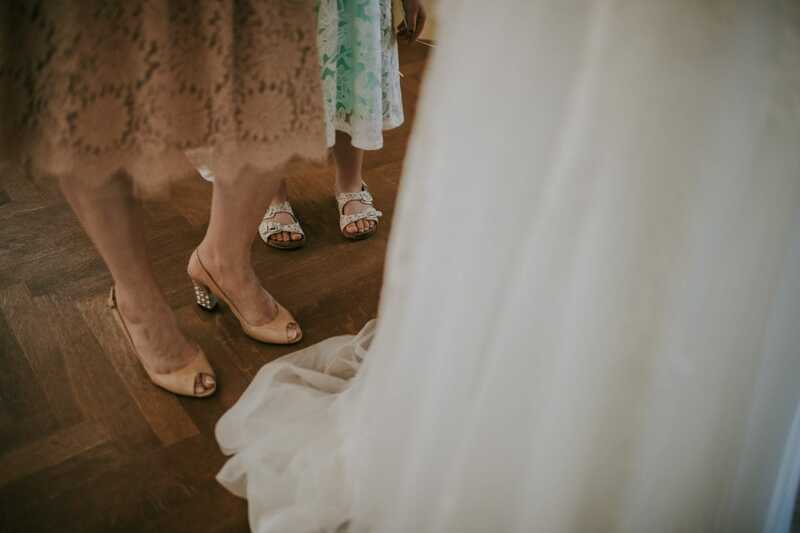 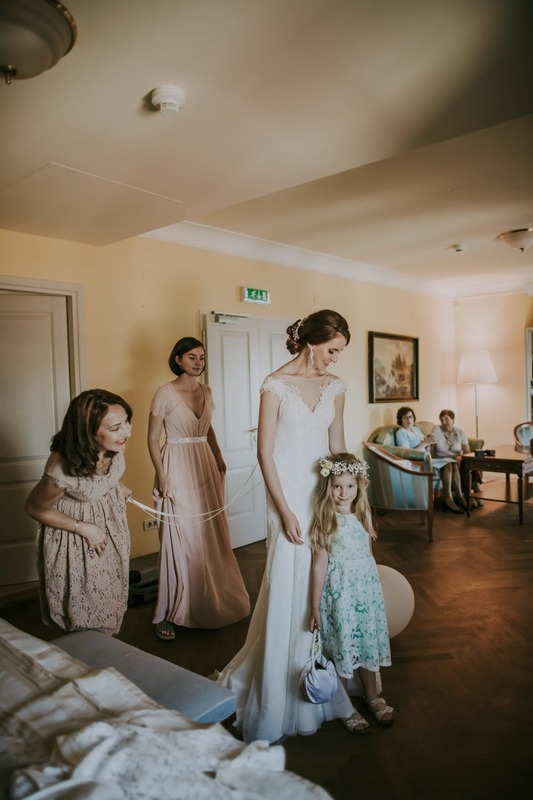 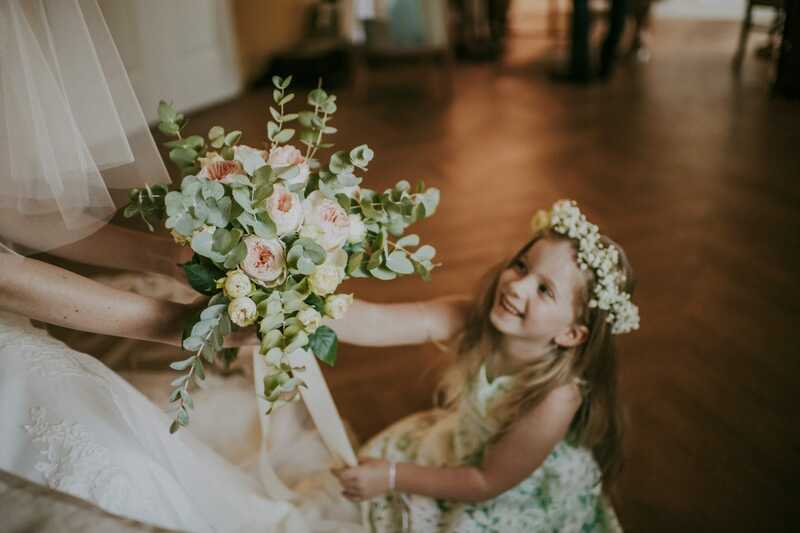 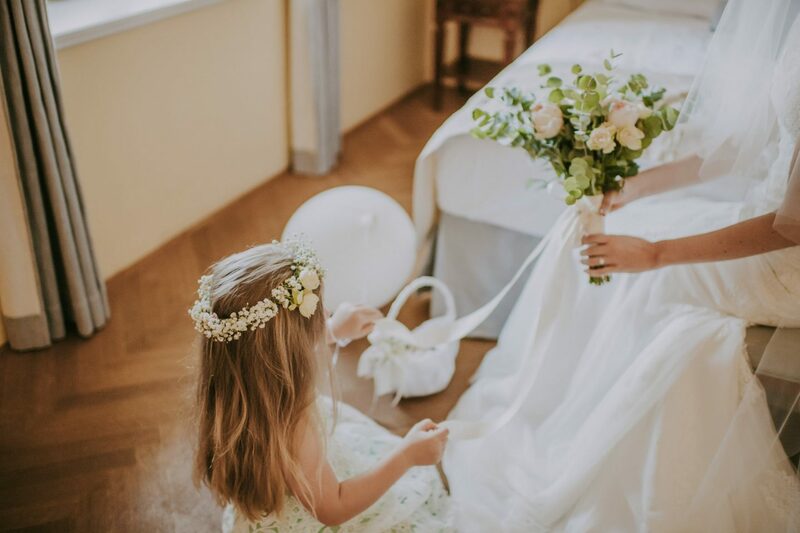 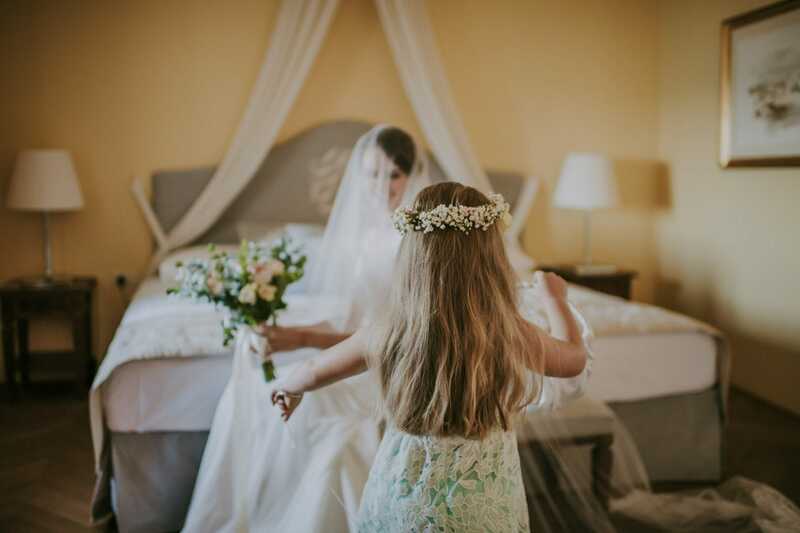 She took care of every single detail from the very beginning letting her little daughter to be the ring holder. 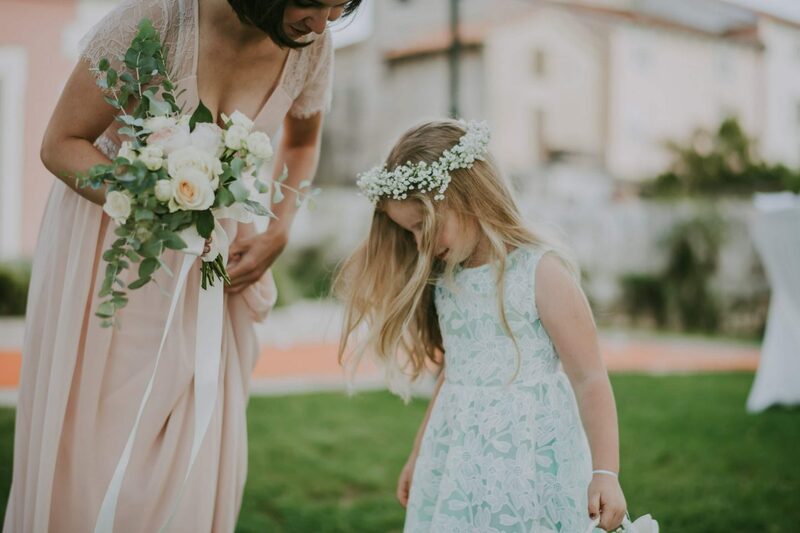 Such a sweet angel! 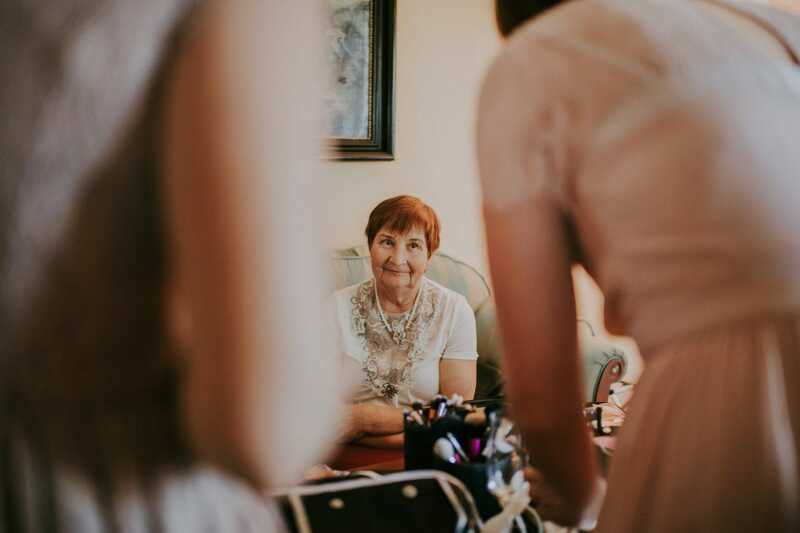 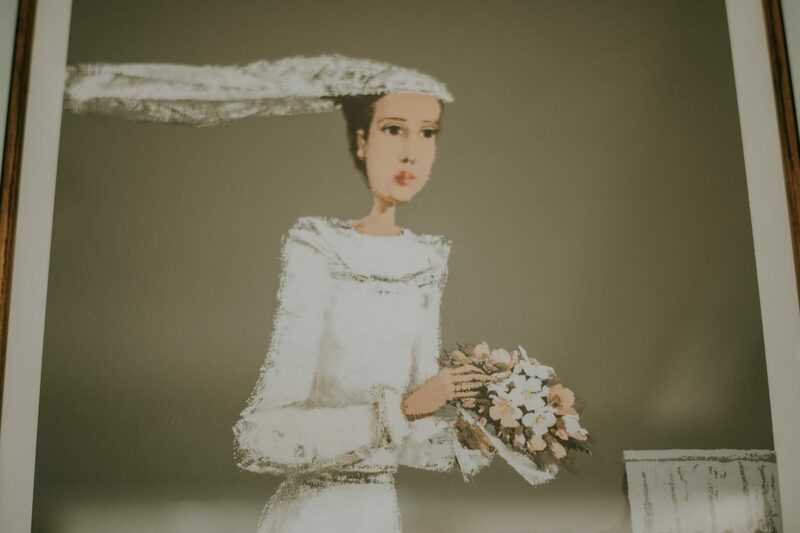 The getting ready has been pretty interesting and funny as Maria was assisted not only by her mom and grandmother but also by her mother-in-law. 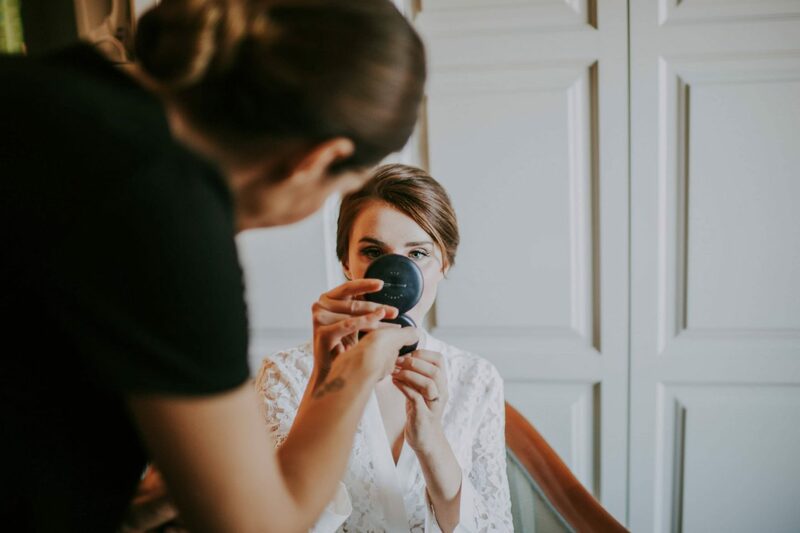 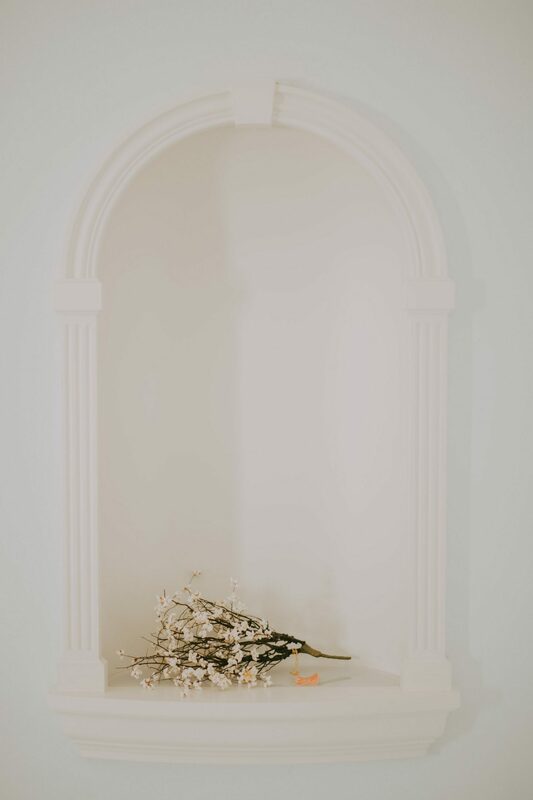 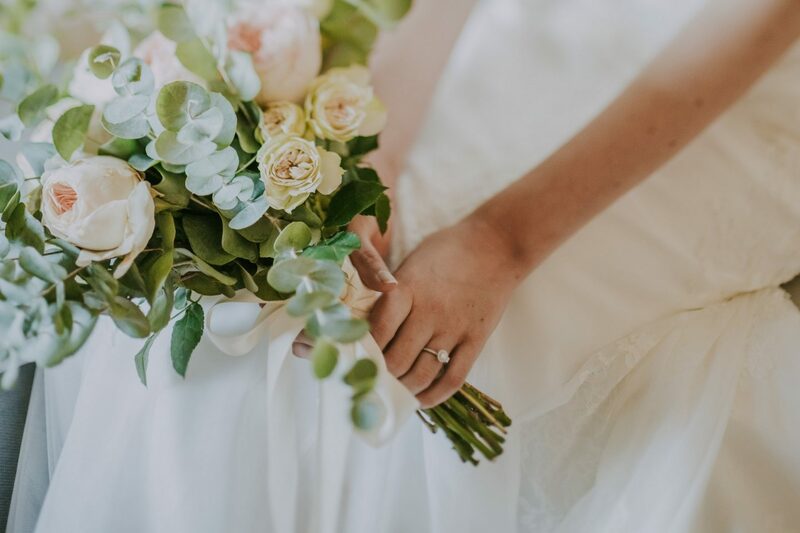 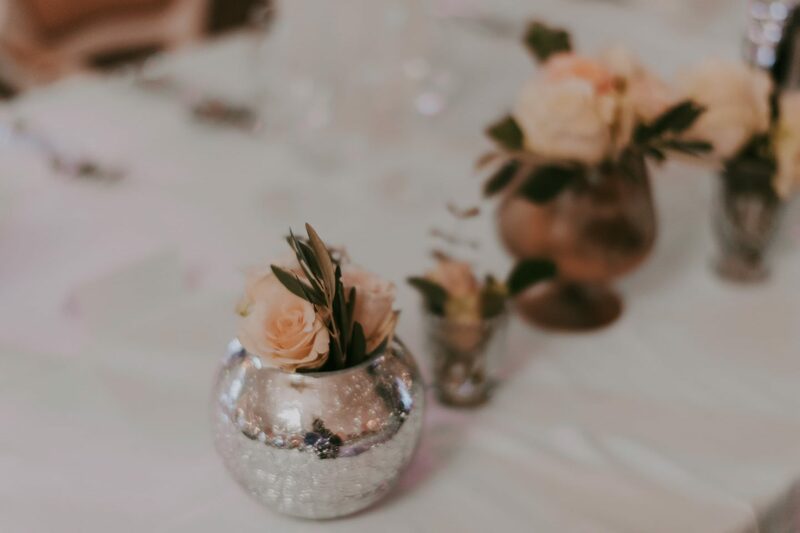 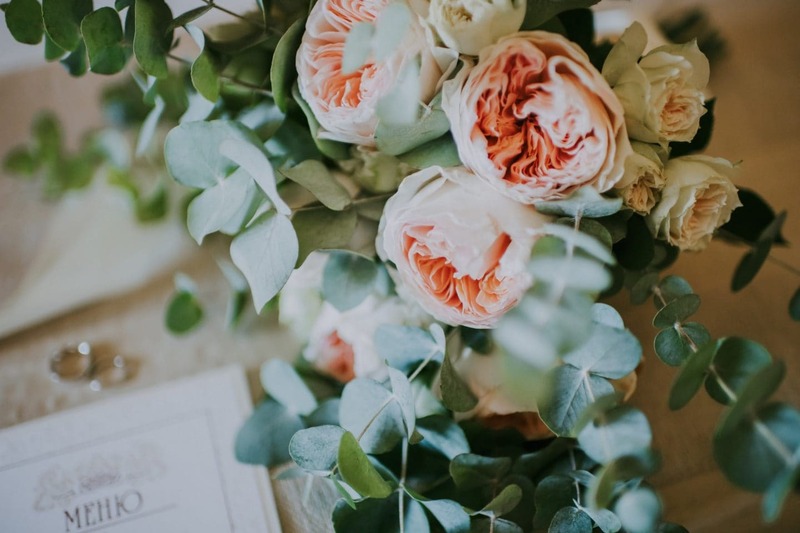 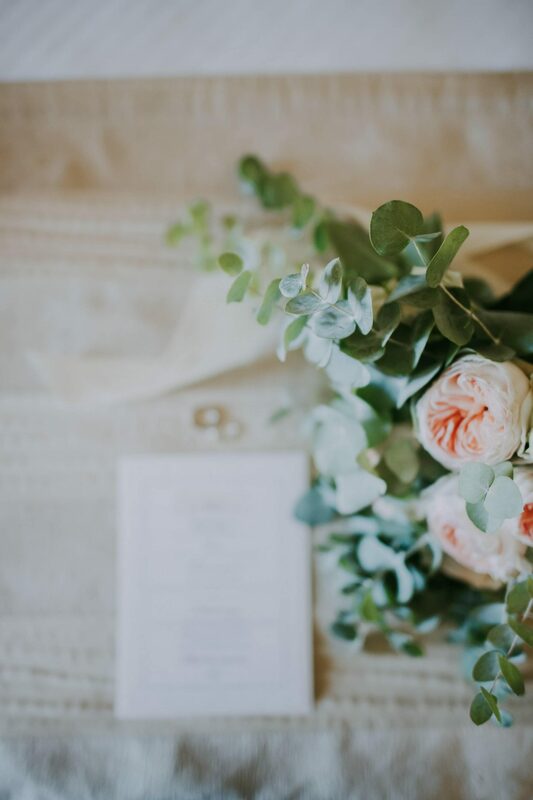 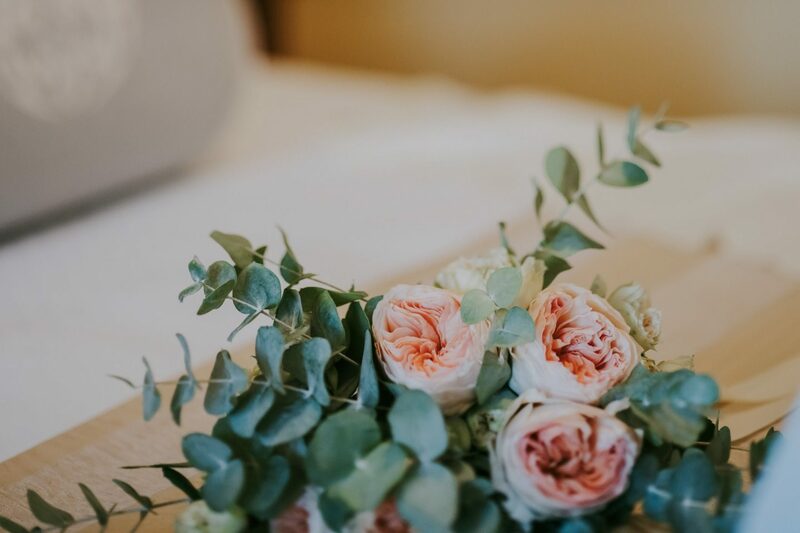 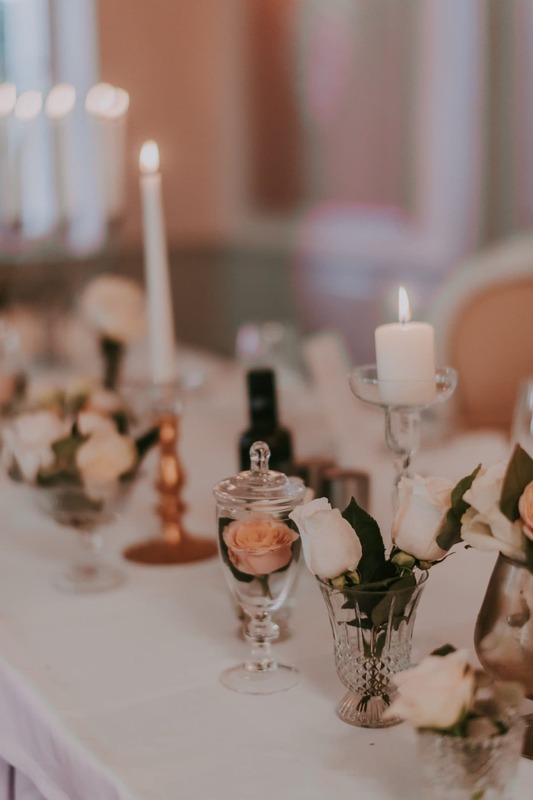 Flowers have the amazing power of inspiring and lift the spirit… the boho table setting as well as the wedding bouquet were a creation by Florami studio Pula while the talented Iva Berisic contributed to stand out the simple, natural but so elegant beauty of Maria with her makeup touch. 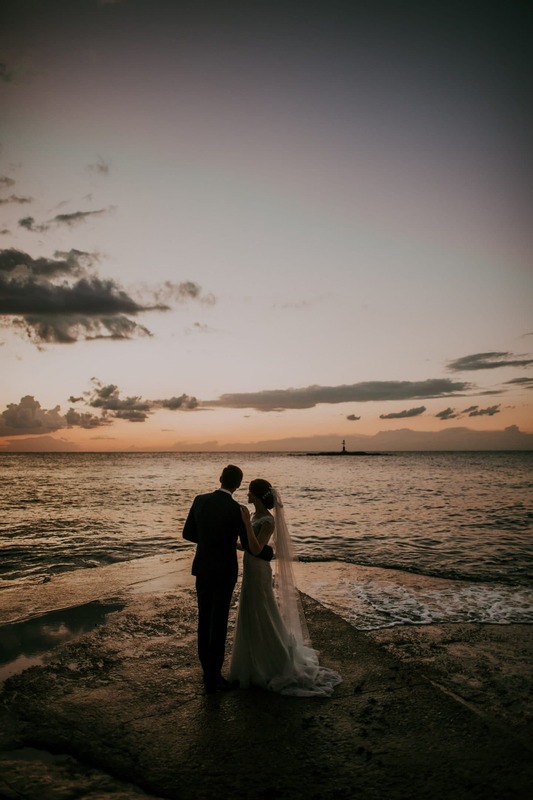 At the end of the summertime, it is possible to find Porec almost uncrowded and for this reason we took advantage of the city center for taking some couple shots ending up with some breathtaking shots at sunset.